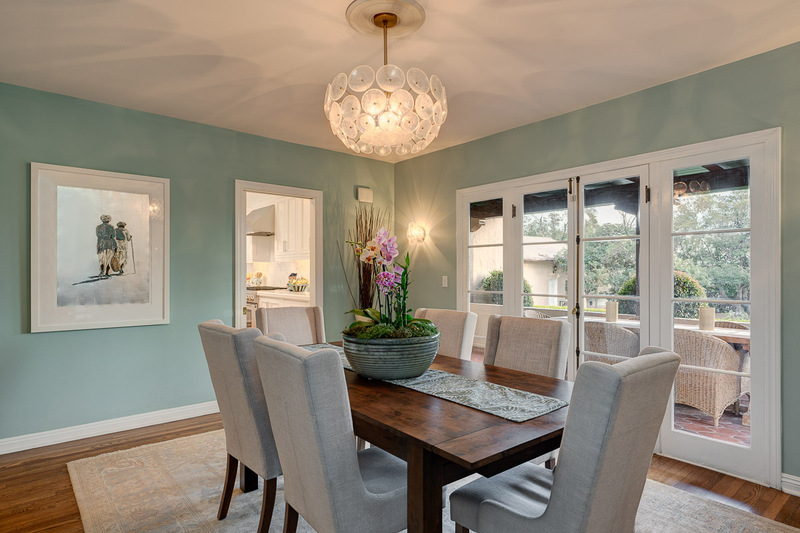 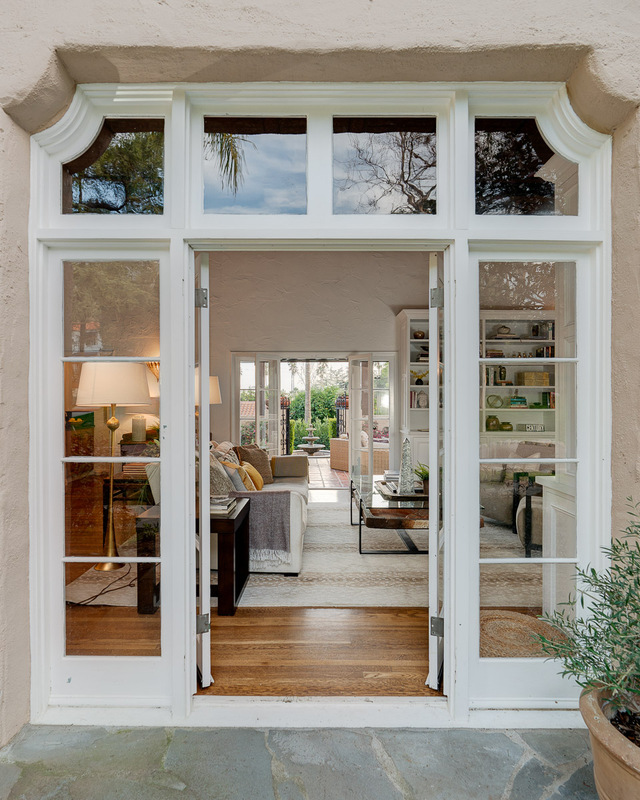 Welcome to this breathtaking Mediterranean gated estate that has been painstakingly remodeled and updated to showcase the romance of early California architecture. 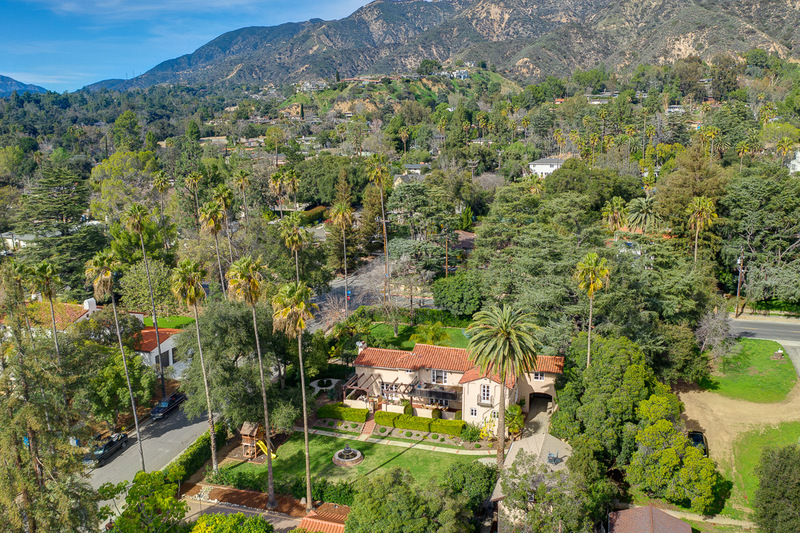 The stately home highlights the grandeur and elegance of the 1920s but is updated with all of today’s most desirable amenities. 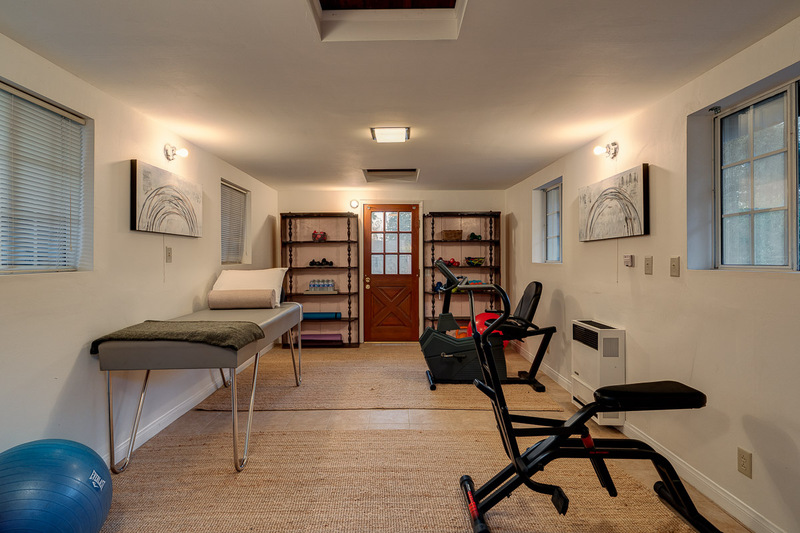 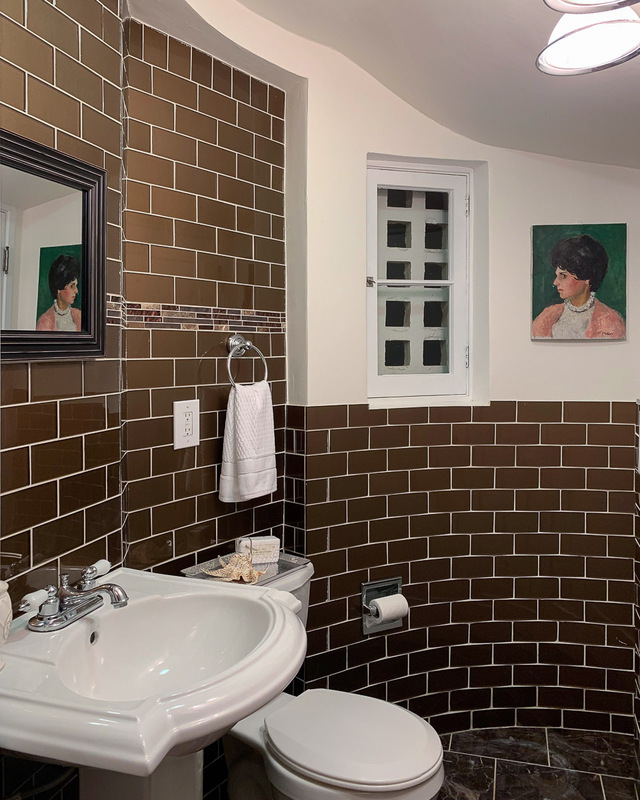 The property has a total of five bedrooms and five baths that include a fully appointed two story guest house with a private yard as well as a detached bonus cottage that is ideal to use as a fitness studio or office. 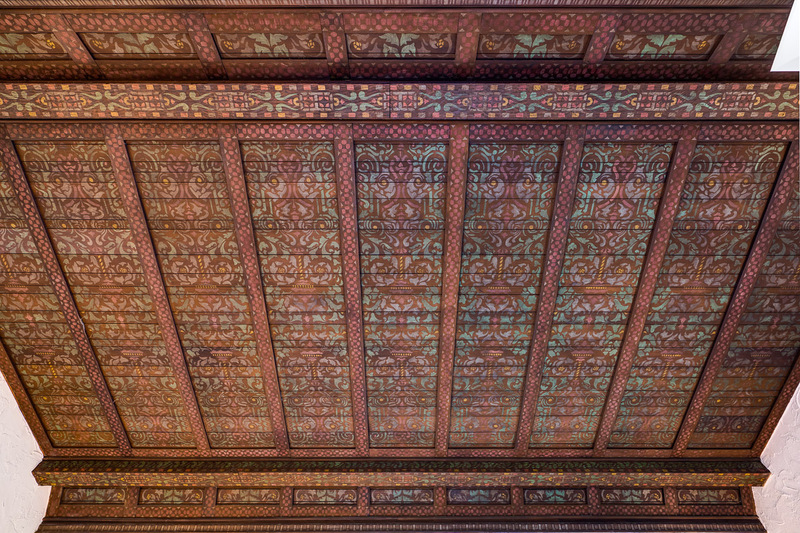 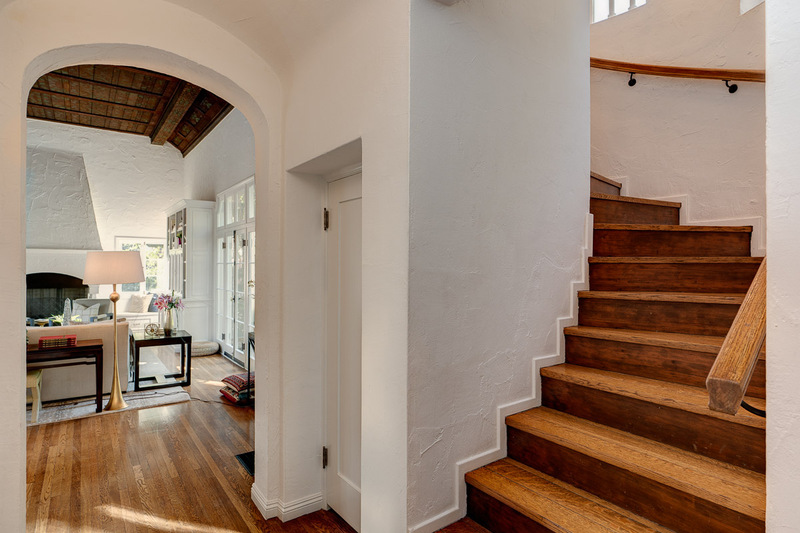 The downstairs of this expansive home invites you in to the formal entry that steps down to the dramatic living room with a soaring, hand painted rich wood ceiling. 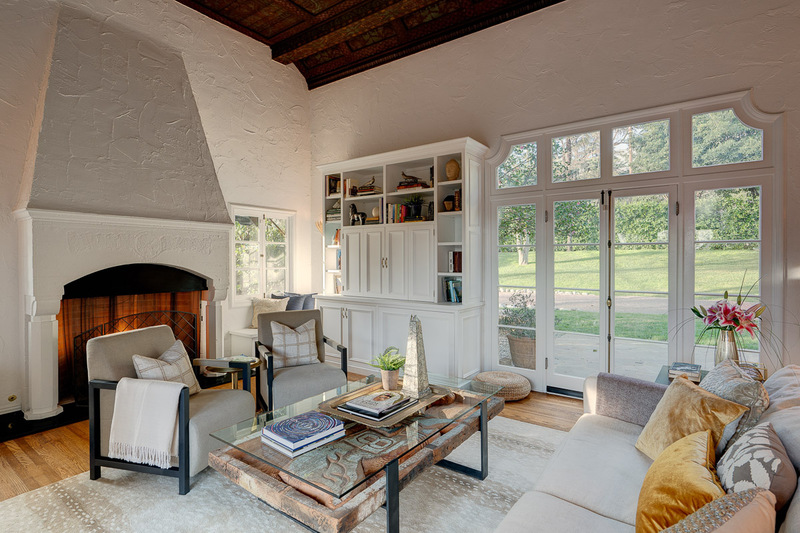 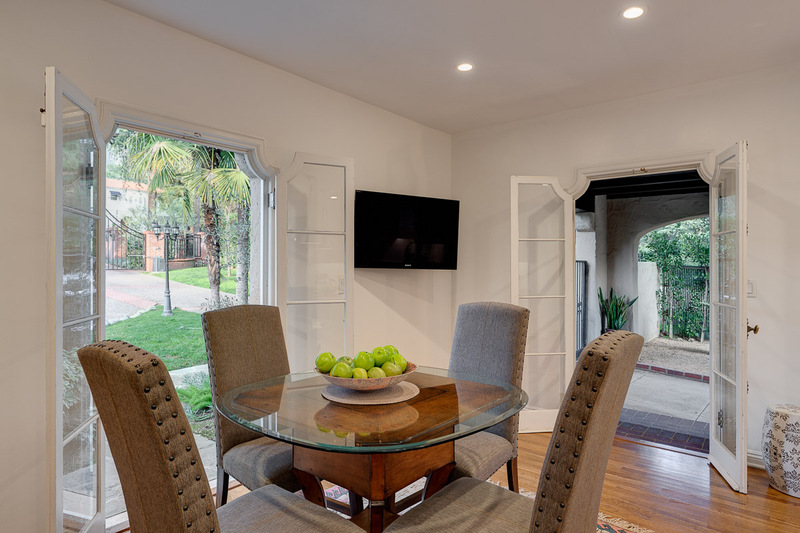 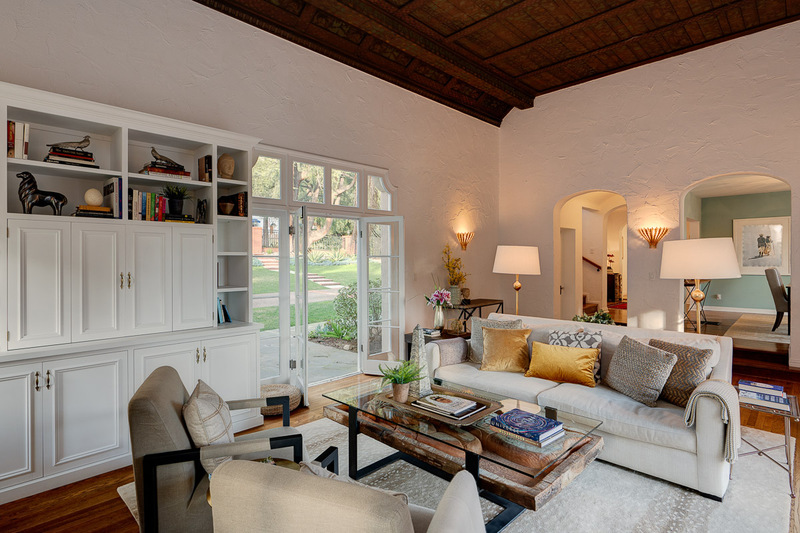 The living room, with its two sets of arched French doors, also has a hidden bar niche perfect for entertaining. 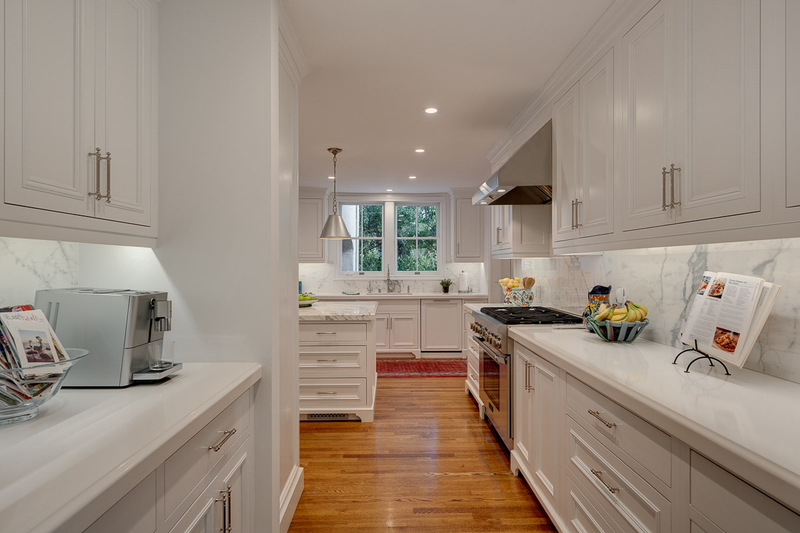 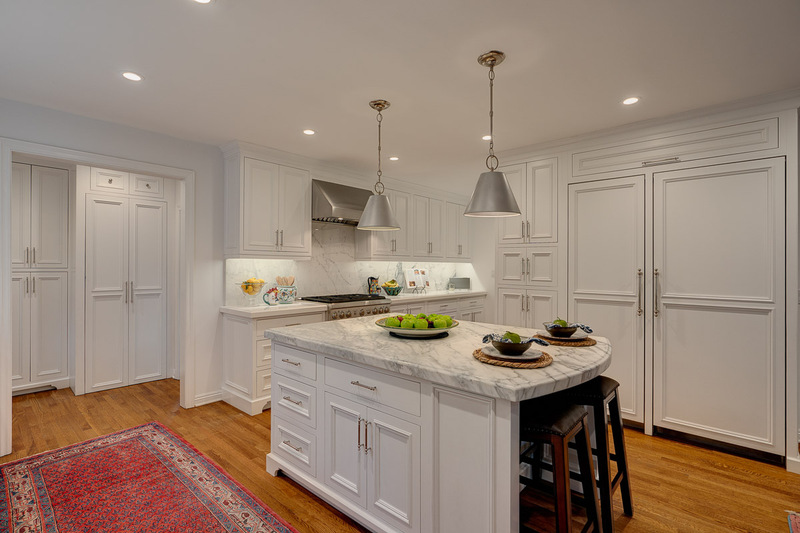 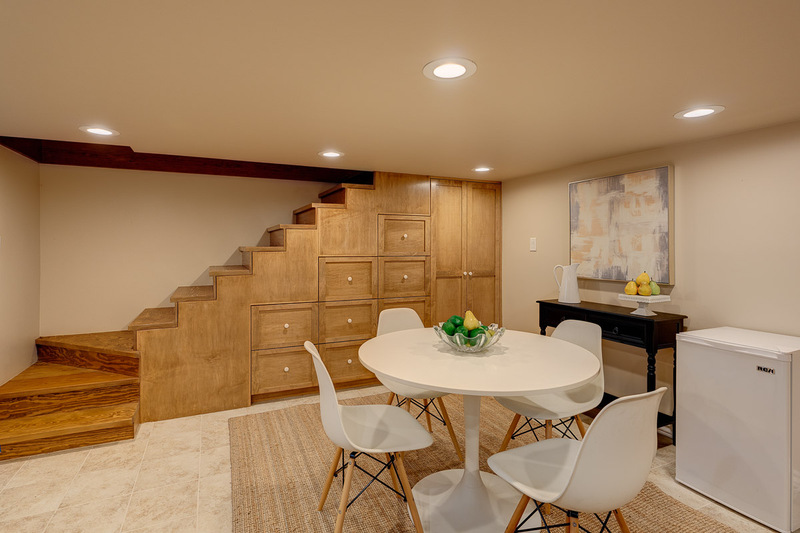 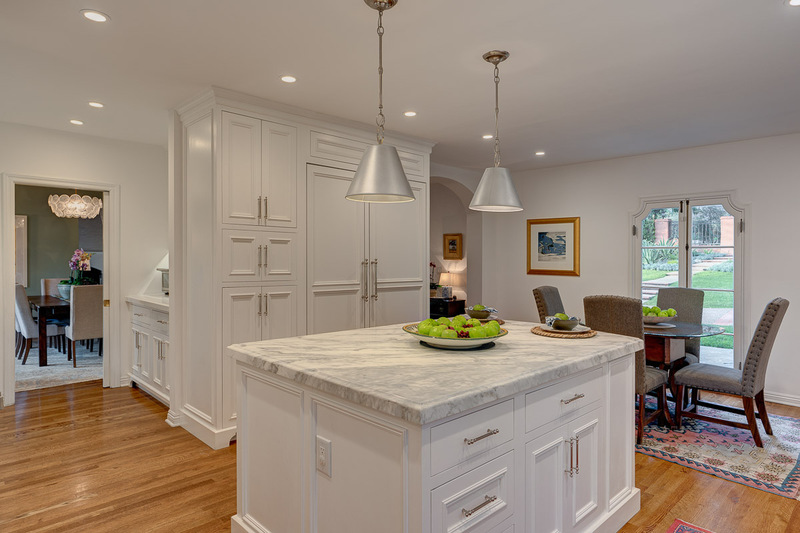 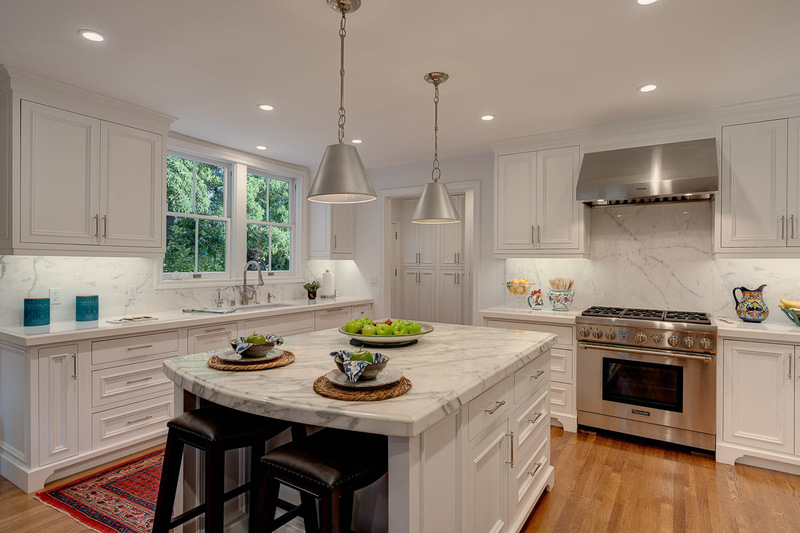 The lower level of the interior includes a stunningly remodeled kitchen with breakfast area, an expansive marble topped center island, a marble backsplash, Thermador appliances and elegant custom cabinetry. 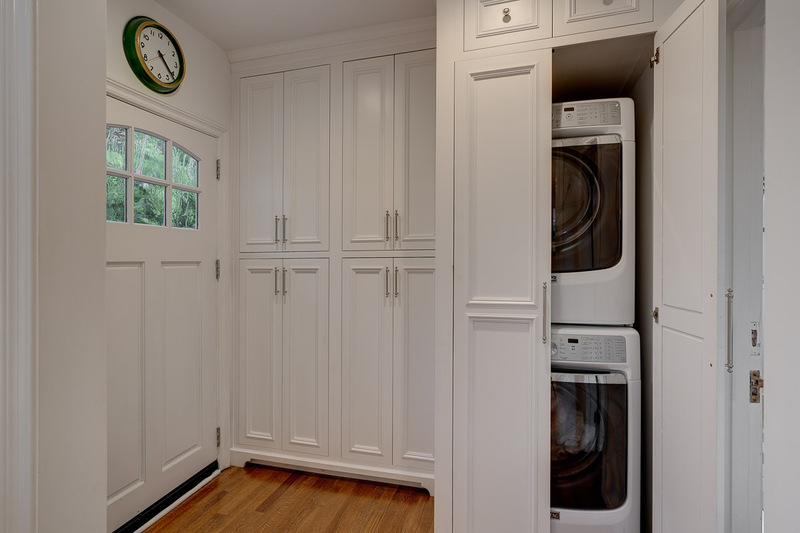 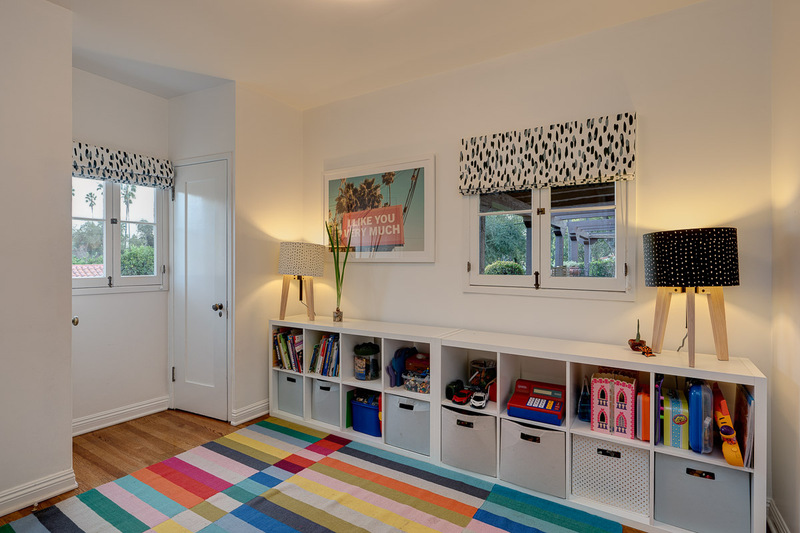 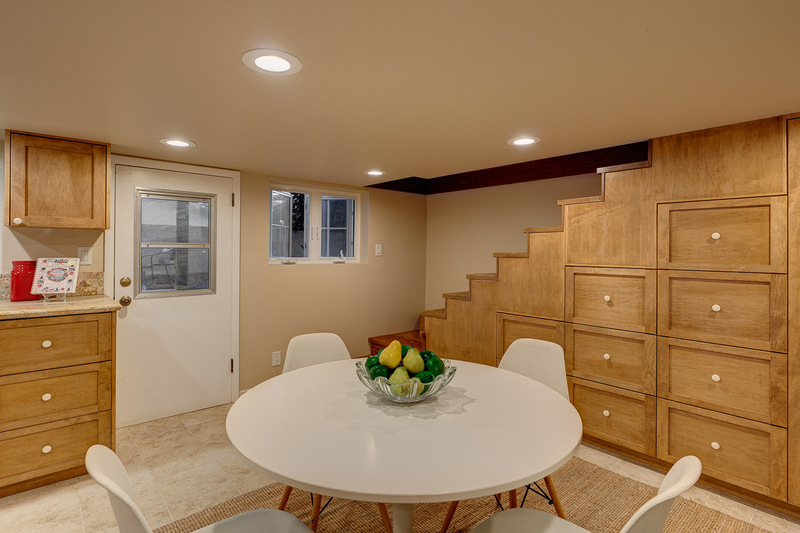 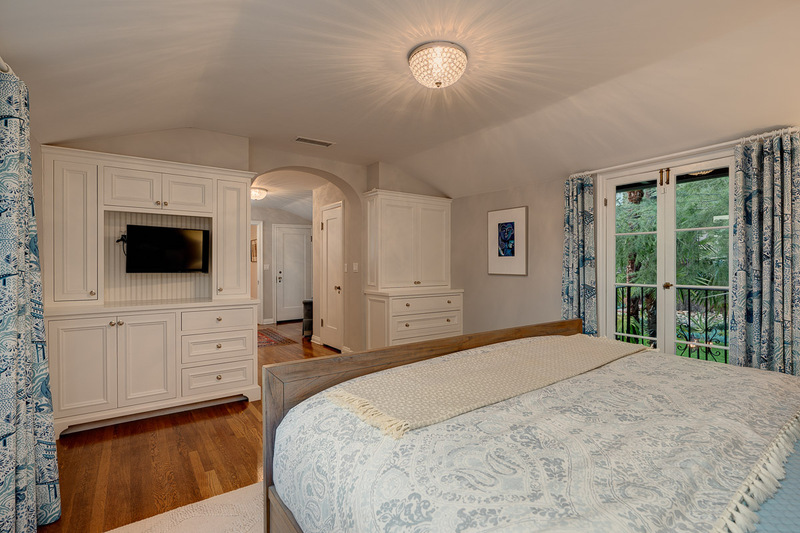 This level also includes a charming en suite bedroom and laundry room. 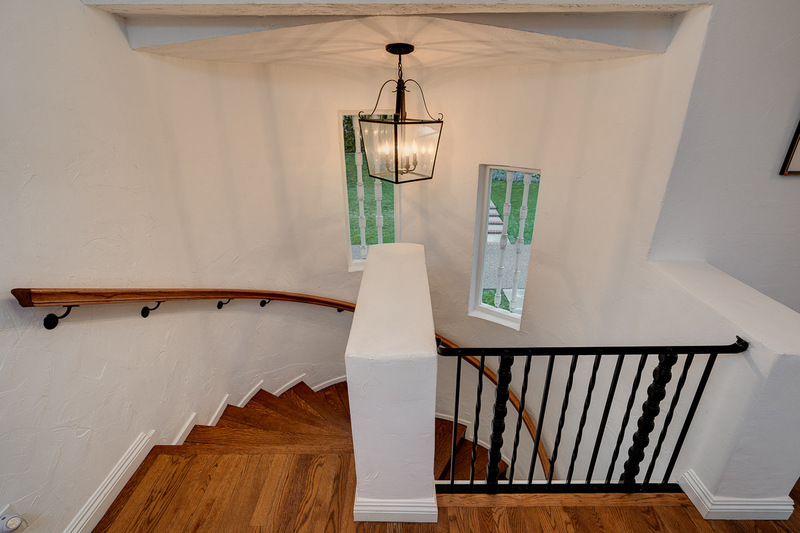 The upstairs is accessed via a romantic circular staircase that leads to a wide hall. 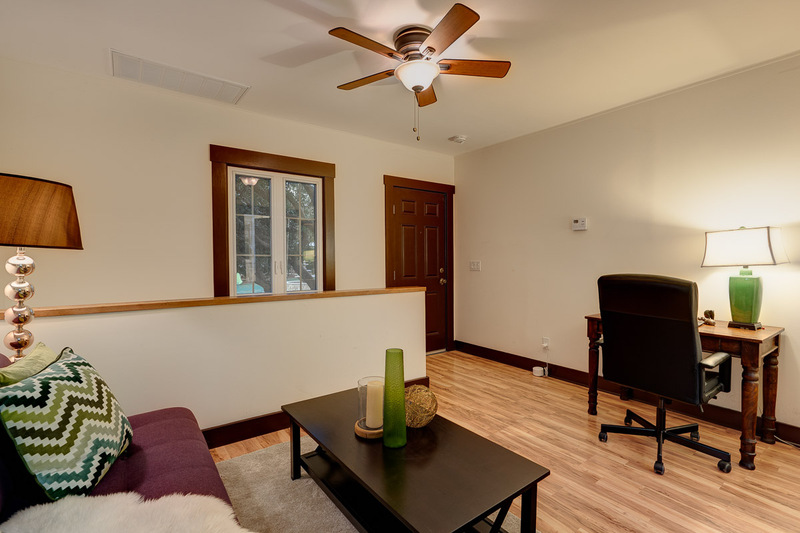 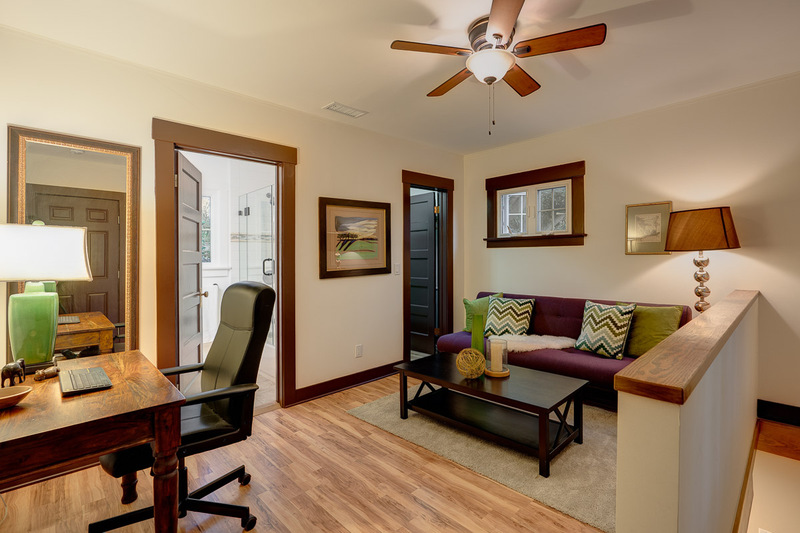 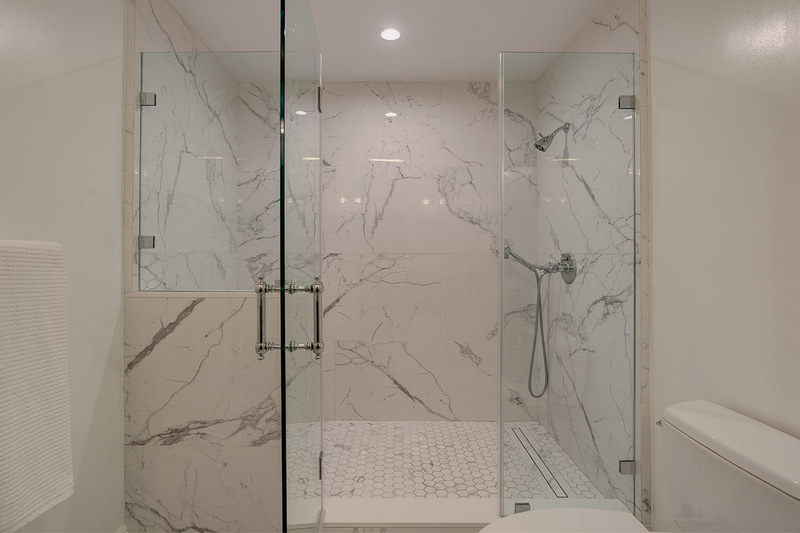 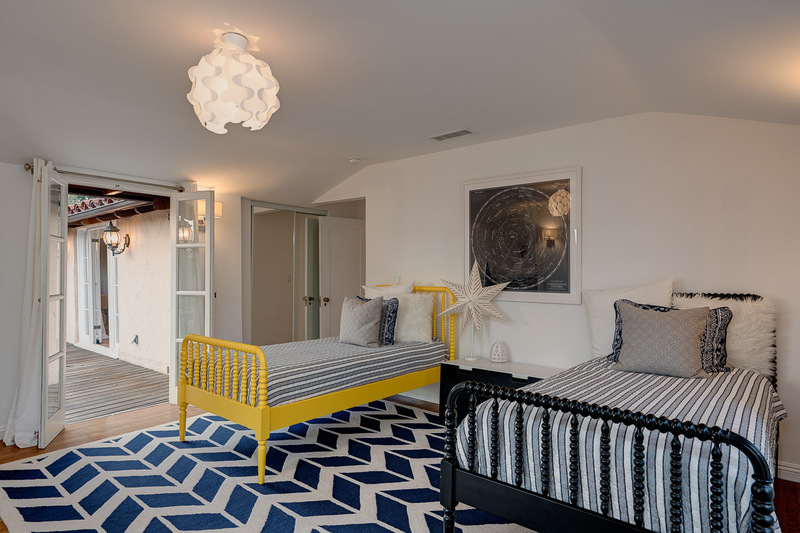 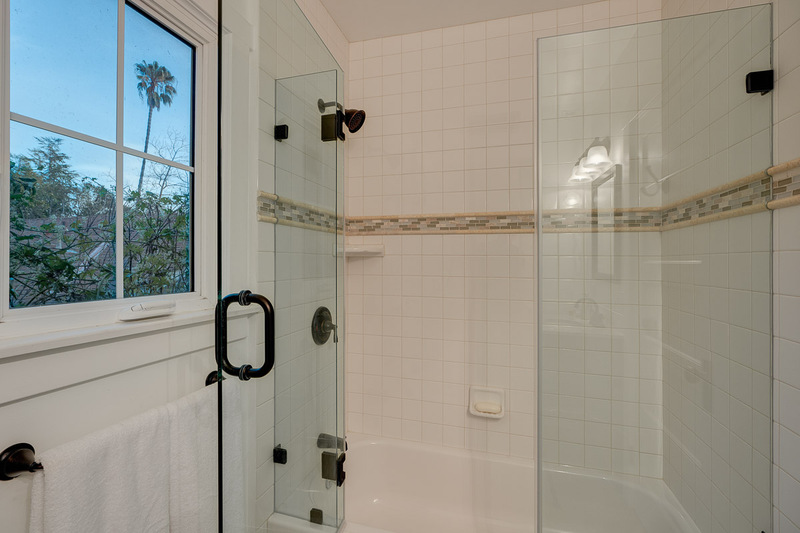 From there you will find three bedrooms and two baths including the spa-like master suite. 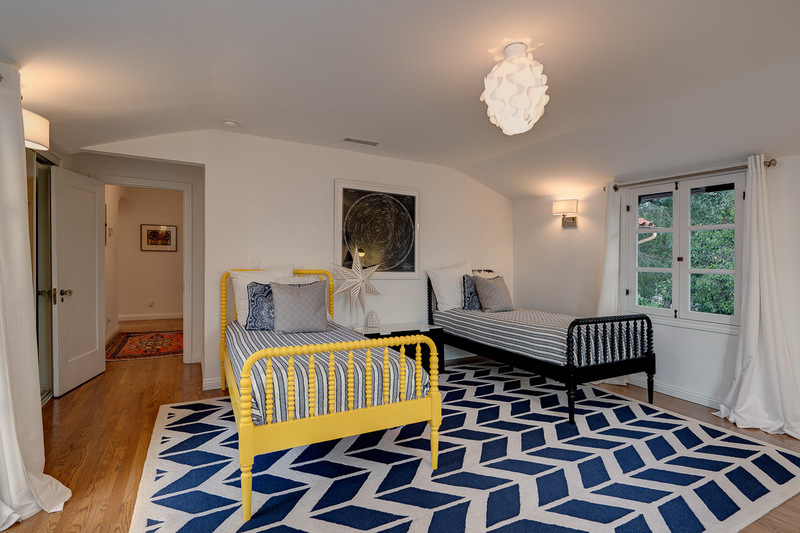 The master bedroom has a large dressing area with dual closets as well as twin Juliet Balconies that offer sweeping mountain views. 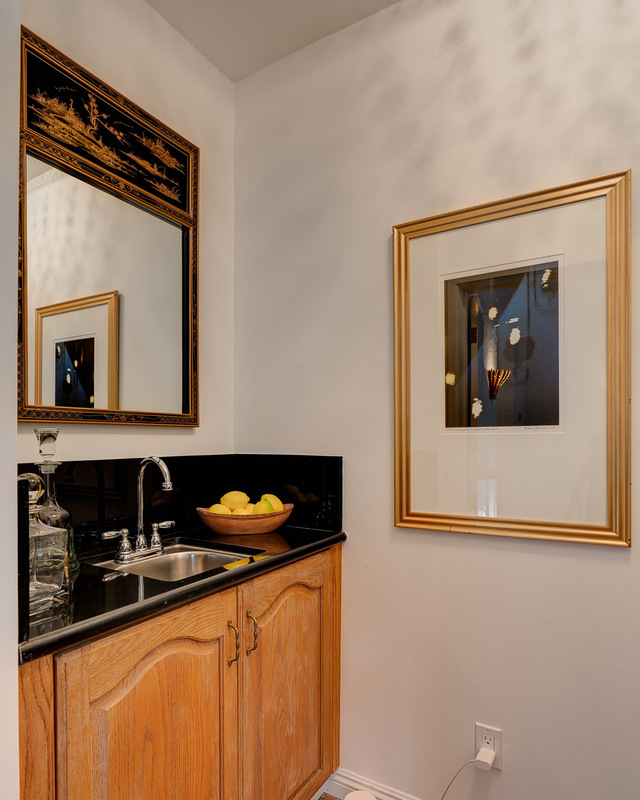 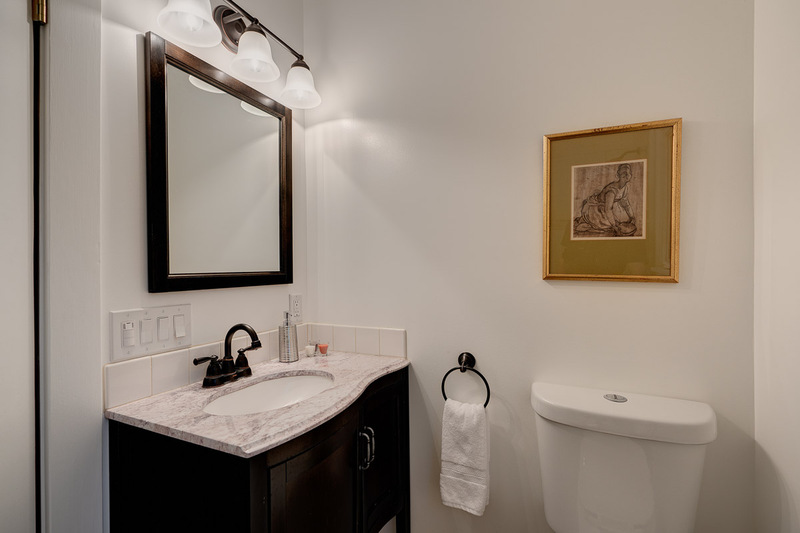 The additional two bedrooms with bath connect to a spacious balcony with seating area that overlooks the verdant rear lawn and has peek-a-boo views of the city lights below. 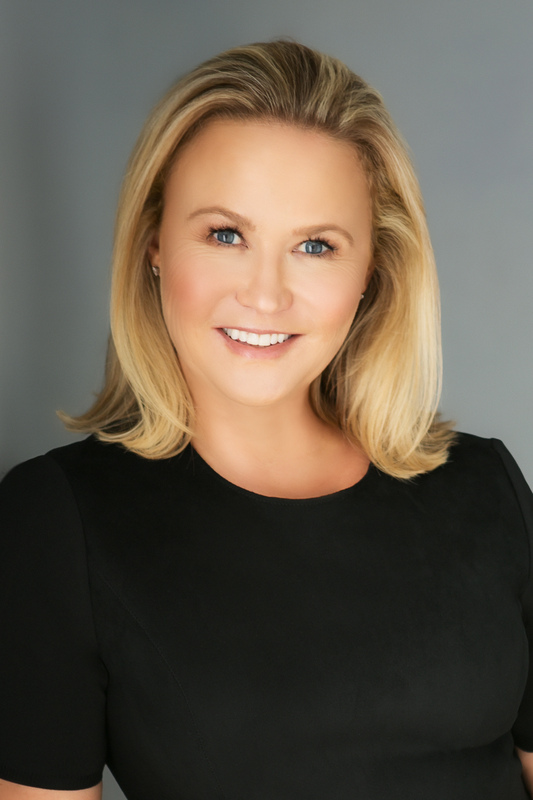 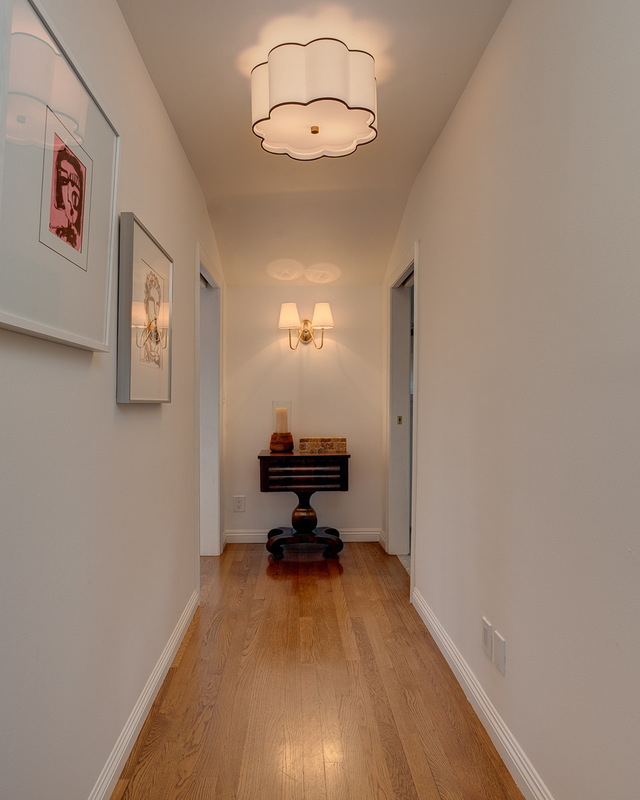 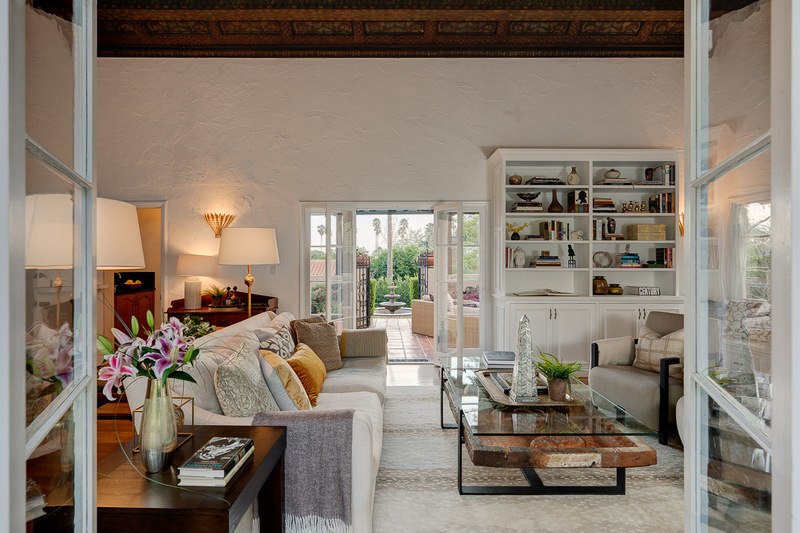 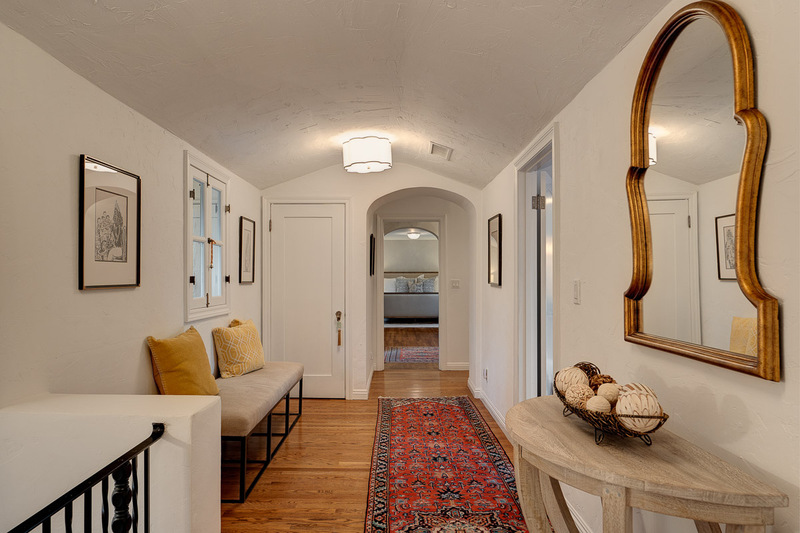 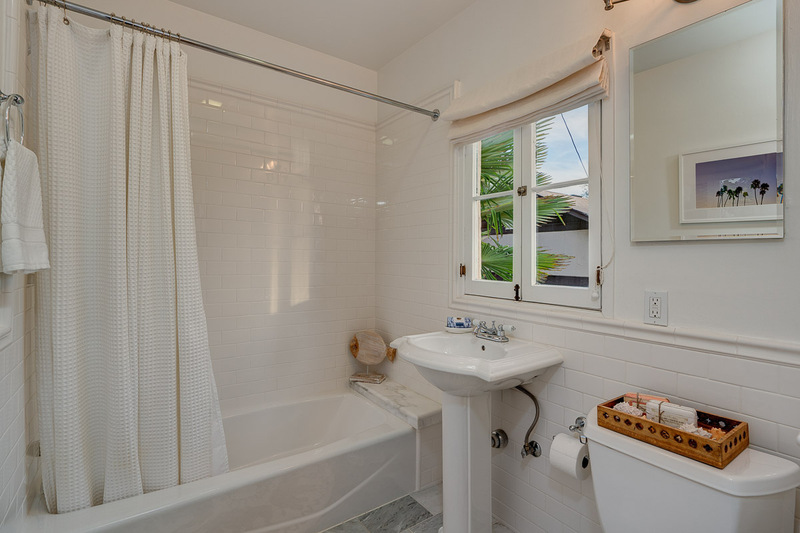 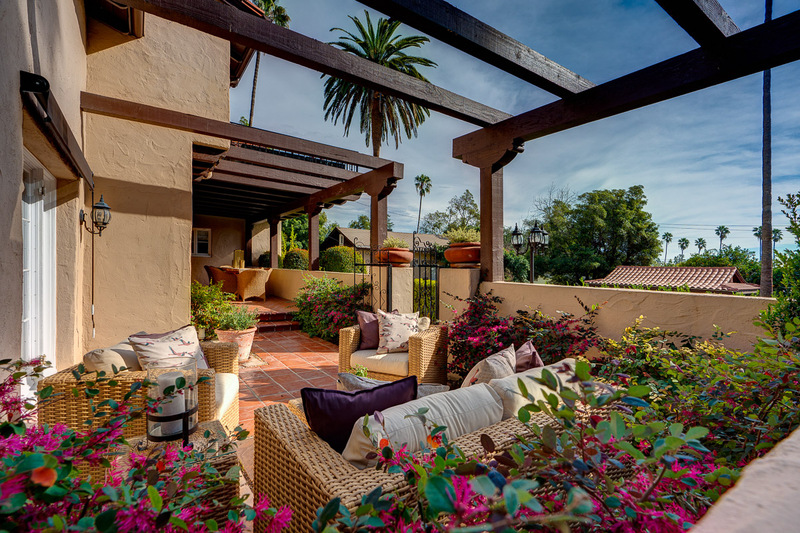 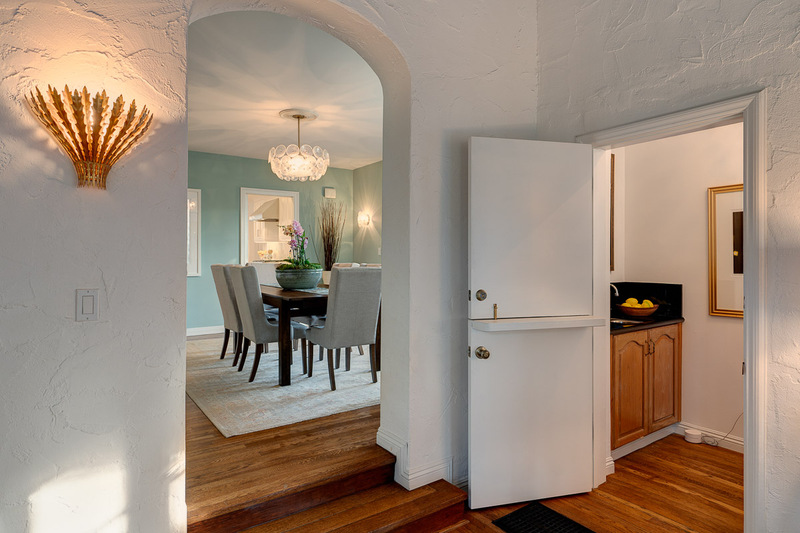 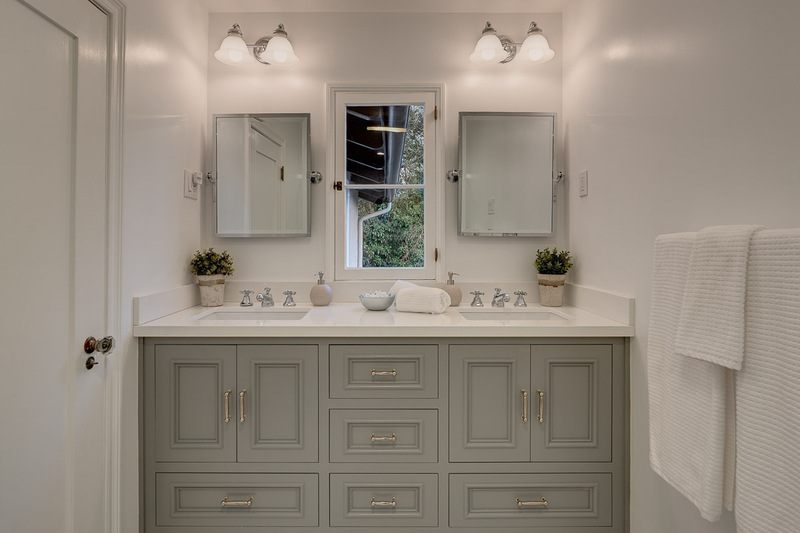 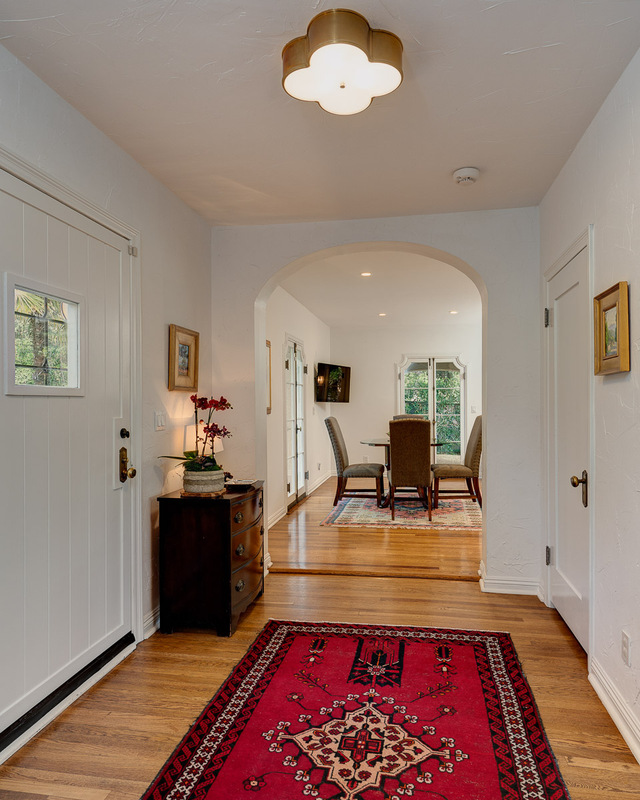 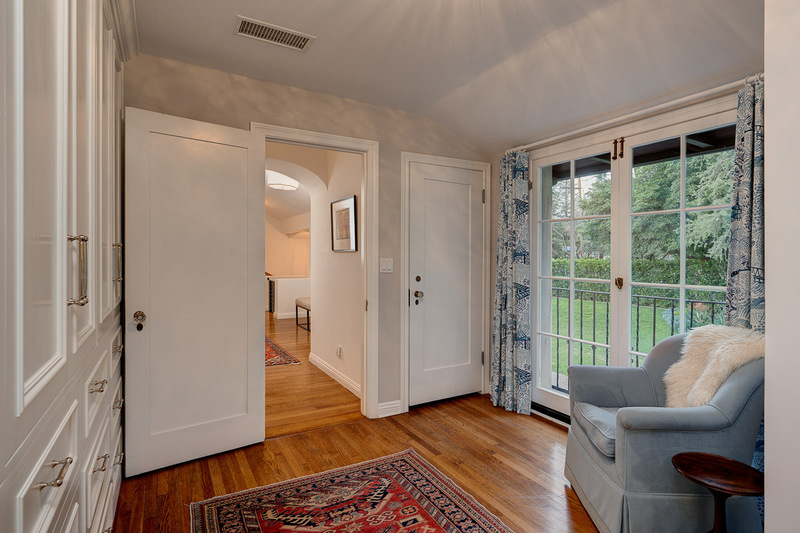 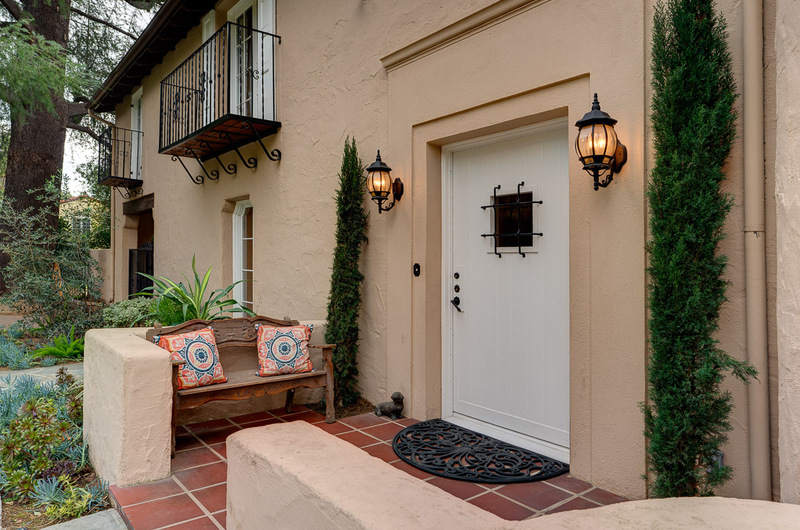 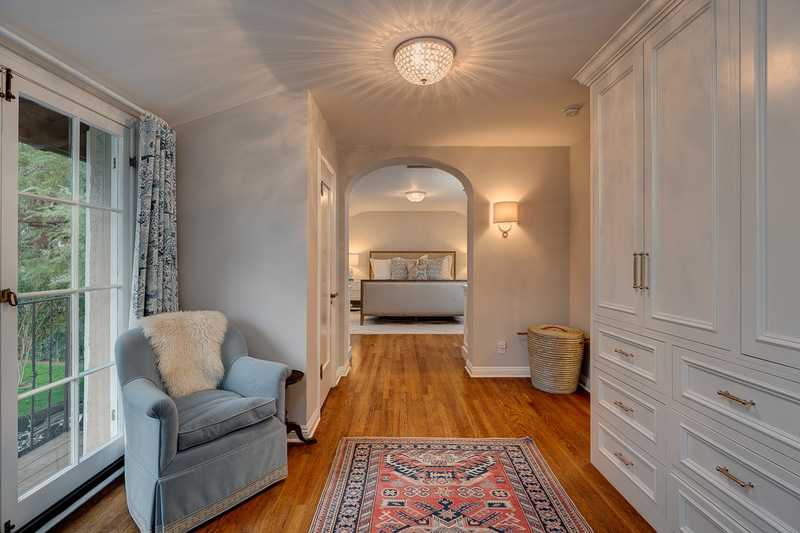 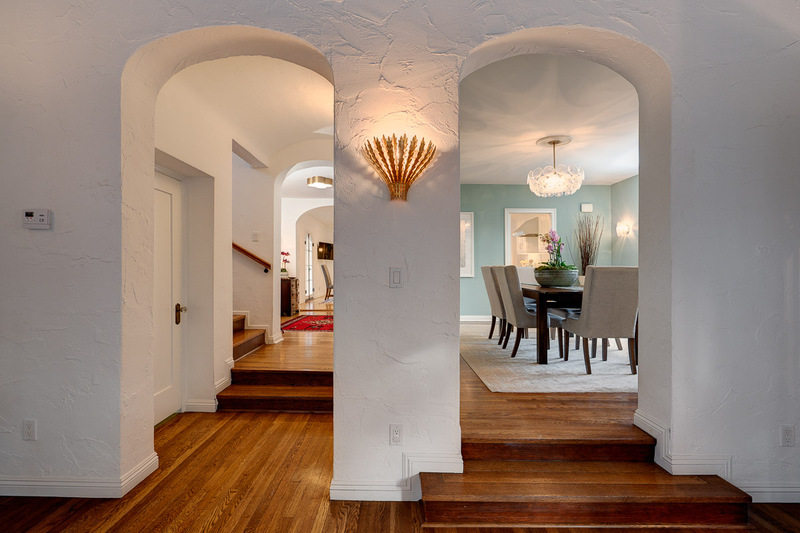 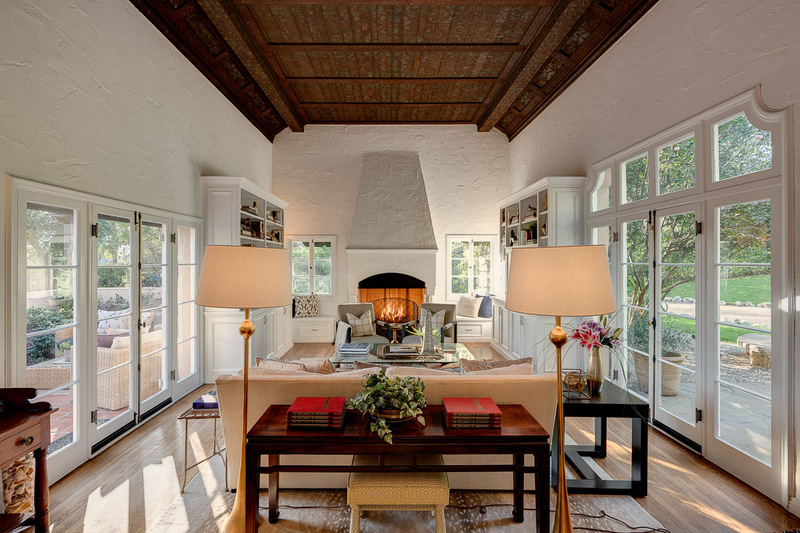 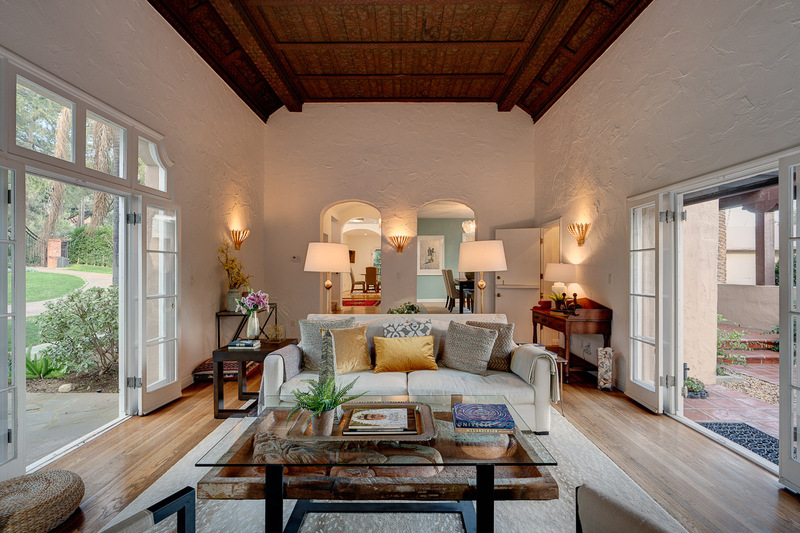 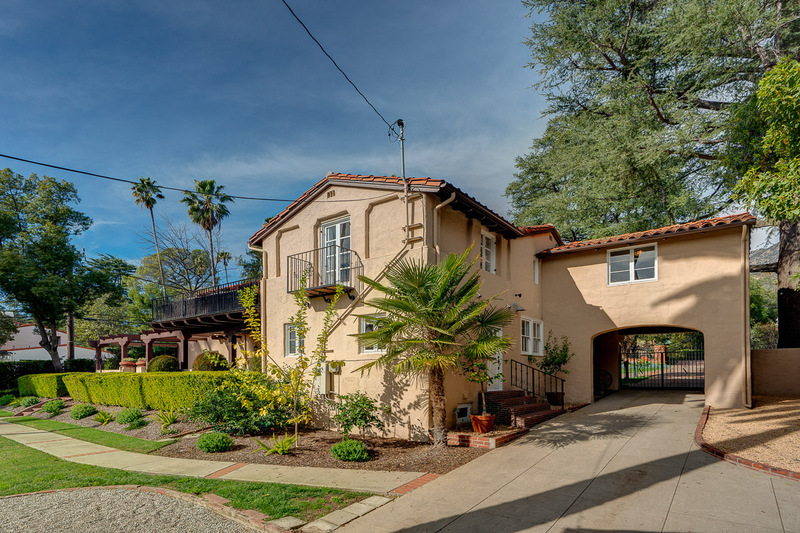 Other details of the property include rich hardwood floors, arched doorways, French doors wrapping the residence, hand hewn beamed ceilings, remodeled baths with intricate marble tile work and significant updates throughout. 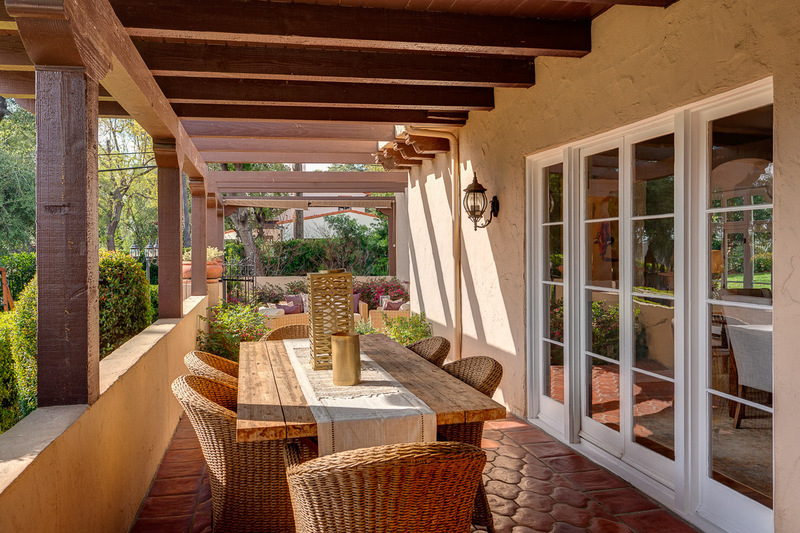 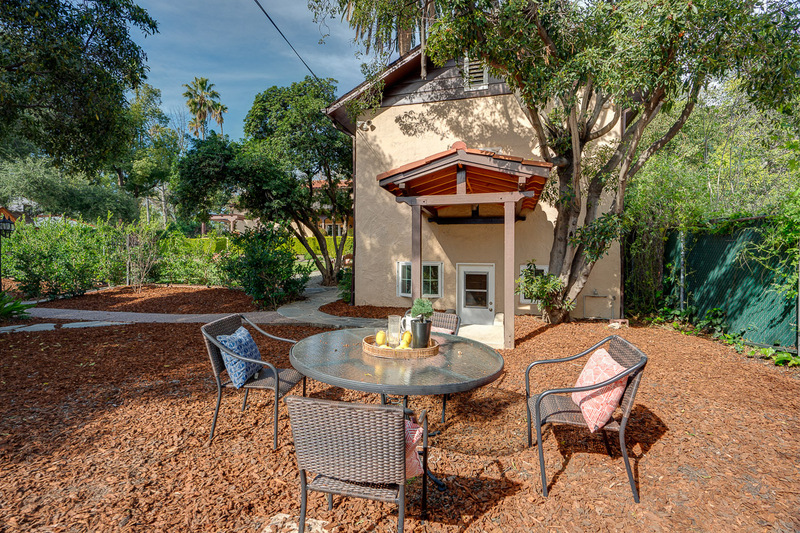 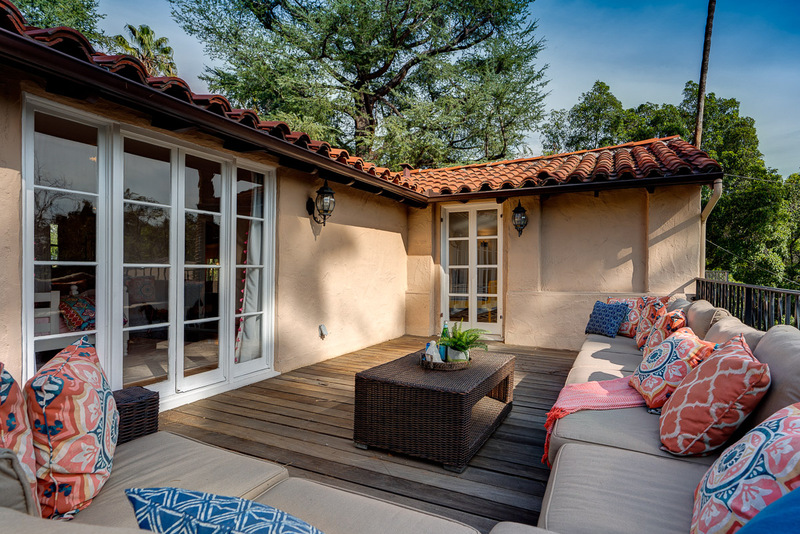 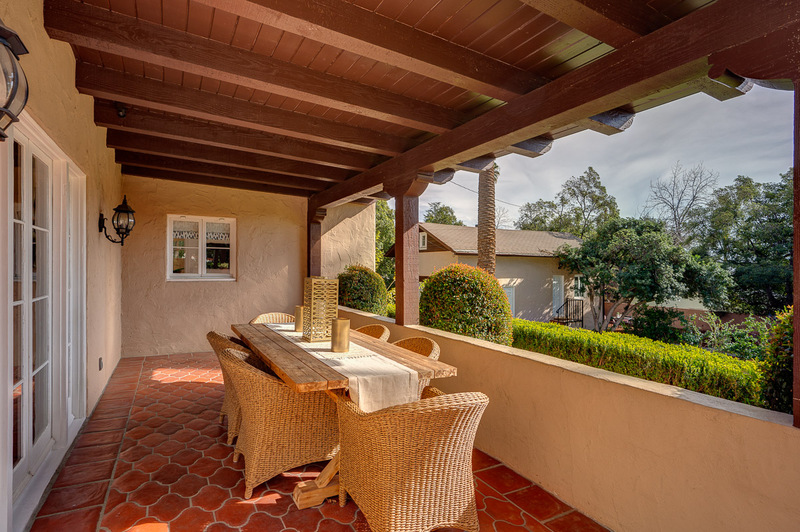 You step out of the house into the loggia and seating areas that are done with Saltillo tile and offer ample spaces for dining al fresco or enjoying your morning coffee. 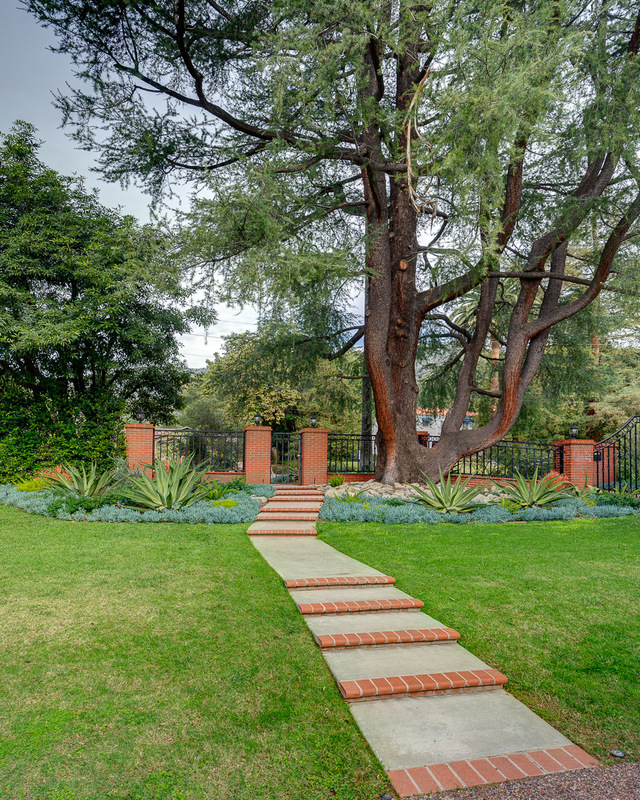 The patio then leads to the expansive lawn with a bubbling central fountain. 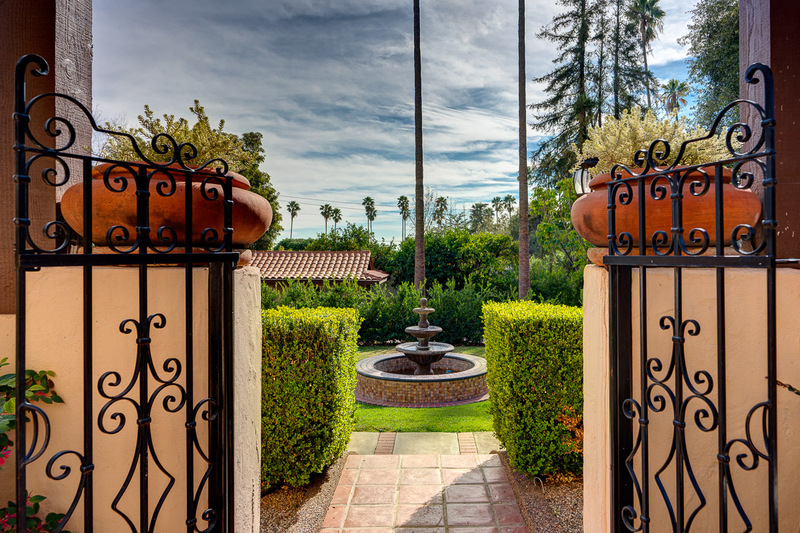 Sprinkled throughout the manicured grounds are beautifully landscaped gardens that offer moments for quiet reflection. 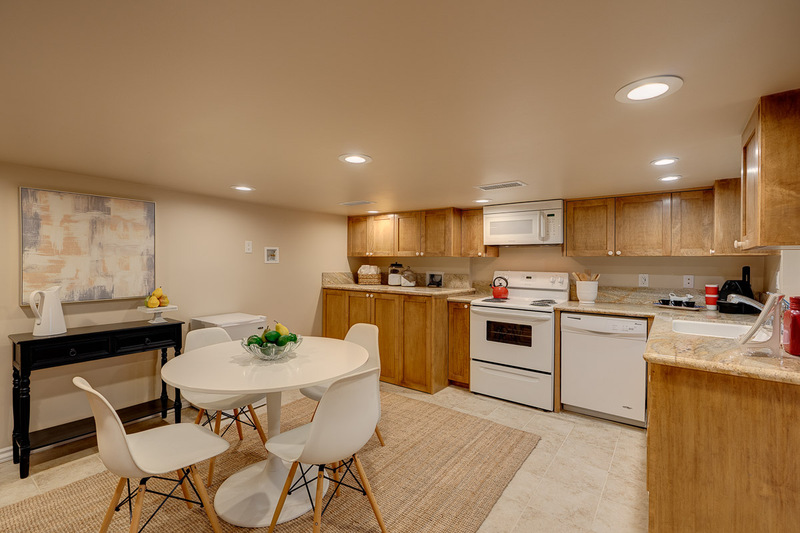 There is also a two car garage as well as charging for your Tesla or electric vehicle. 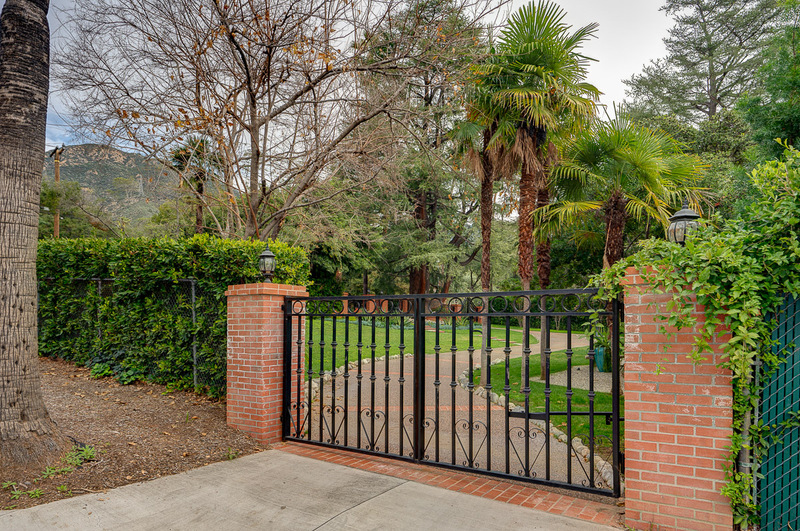 Don’t miss this incredible property with stunning curb appeal and sweeping views of our magnificent San Gabriel Mountains. 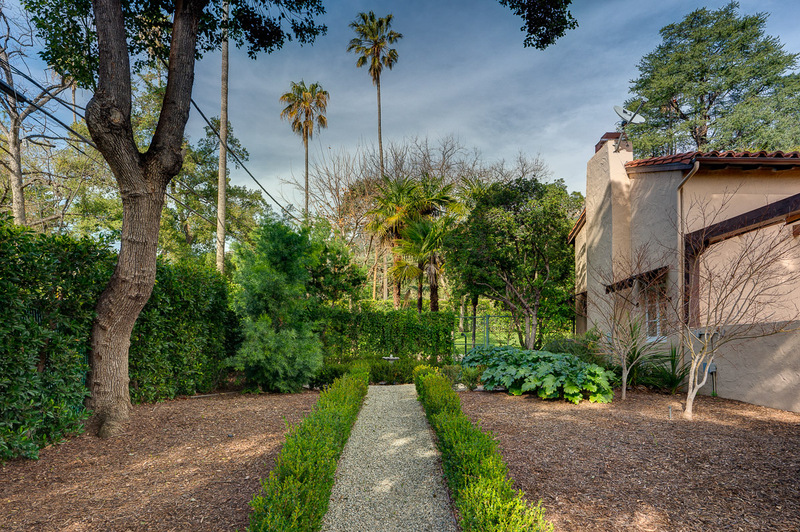 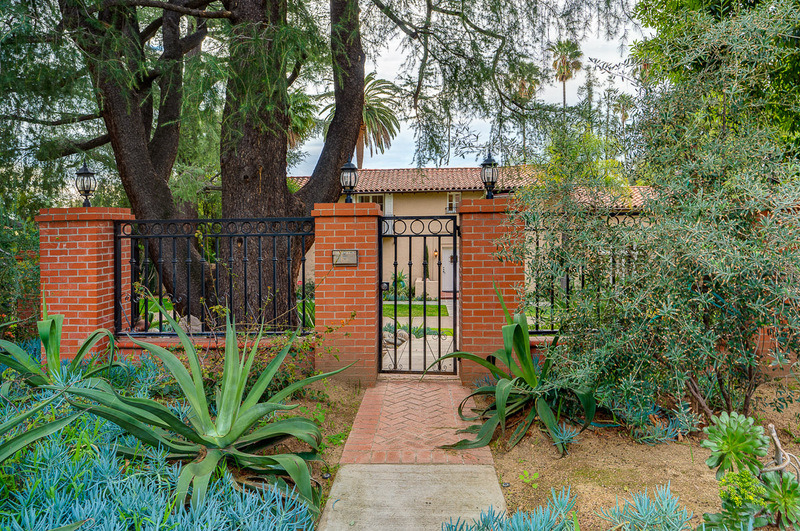 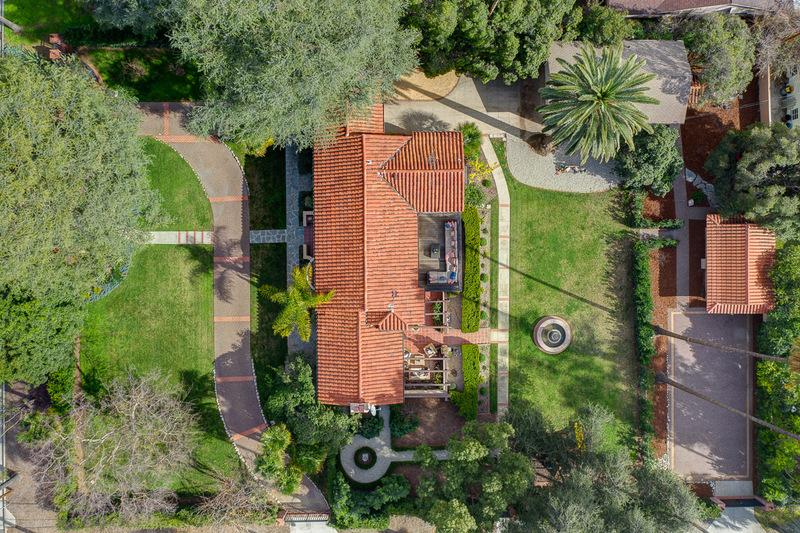 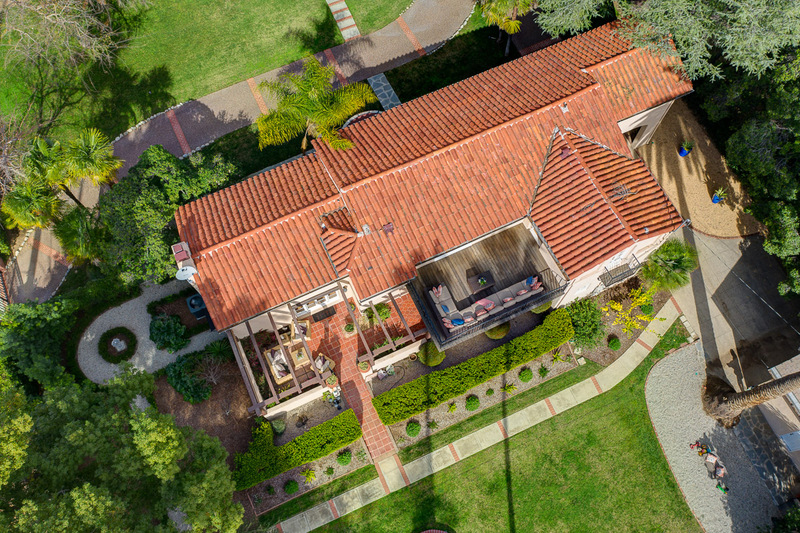 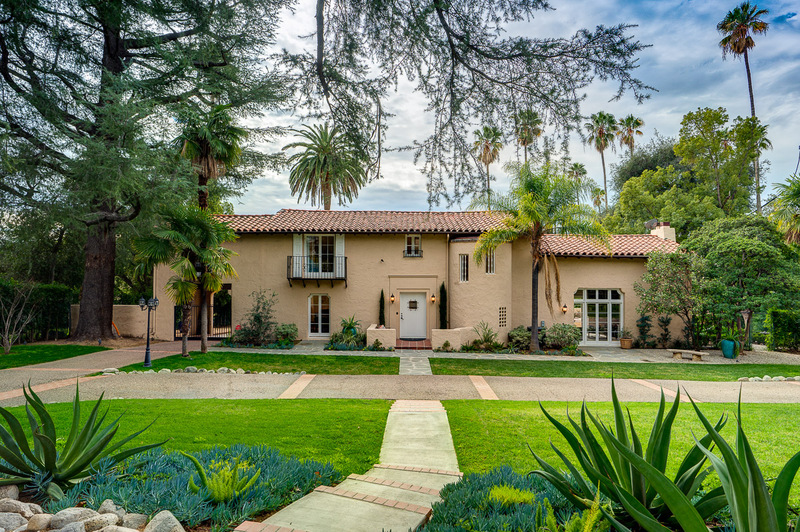 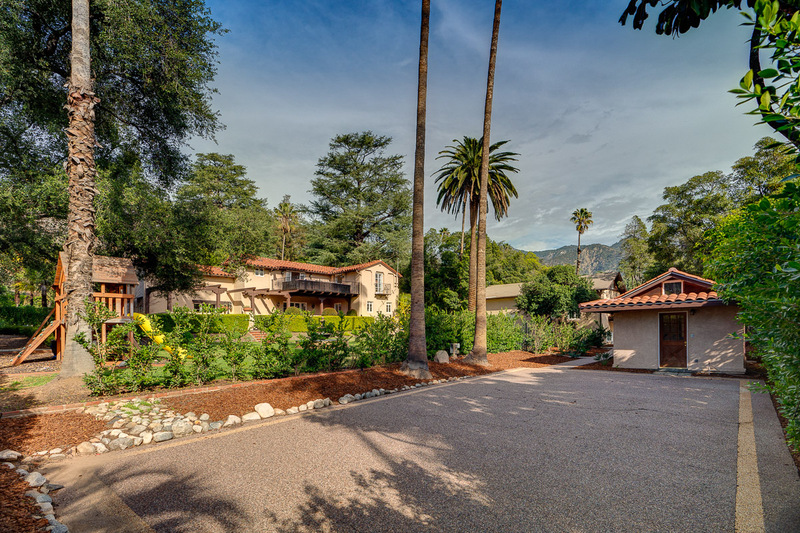 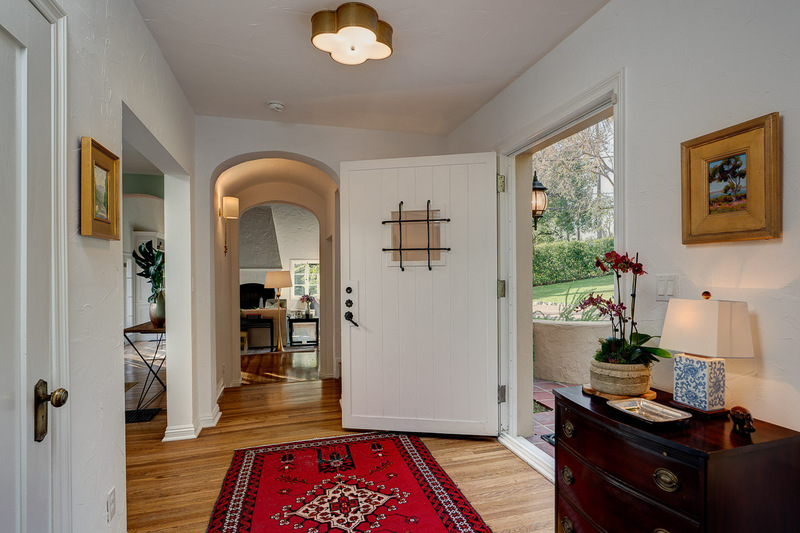 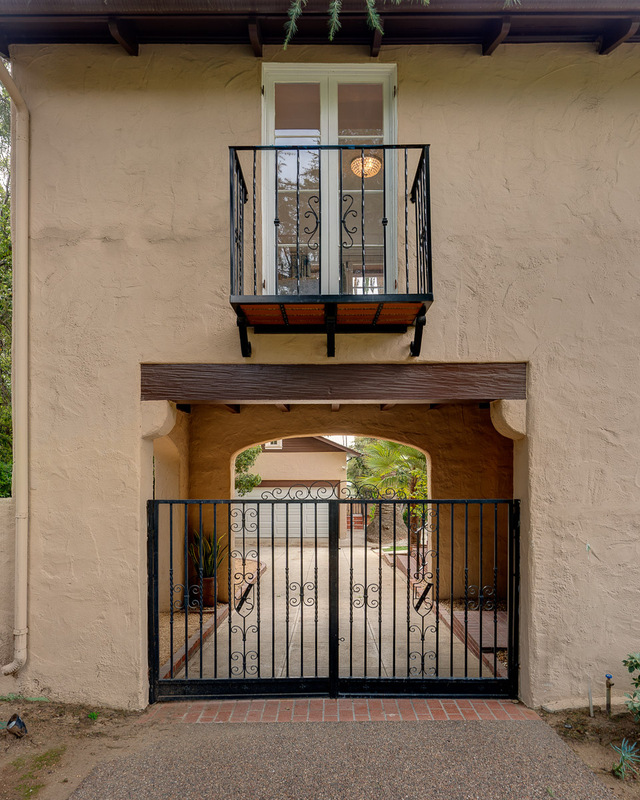 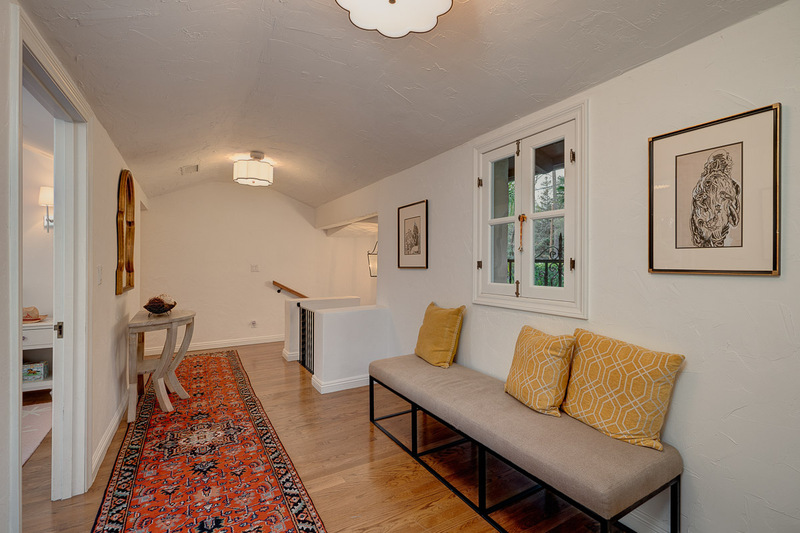 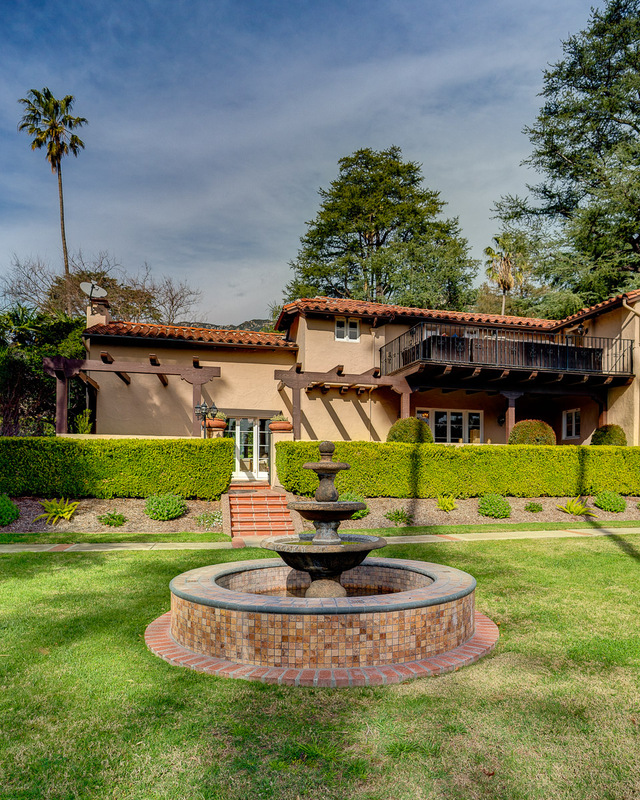 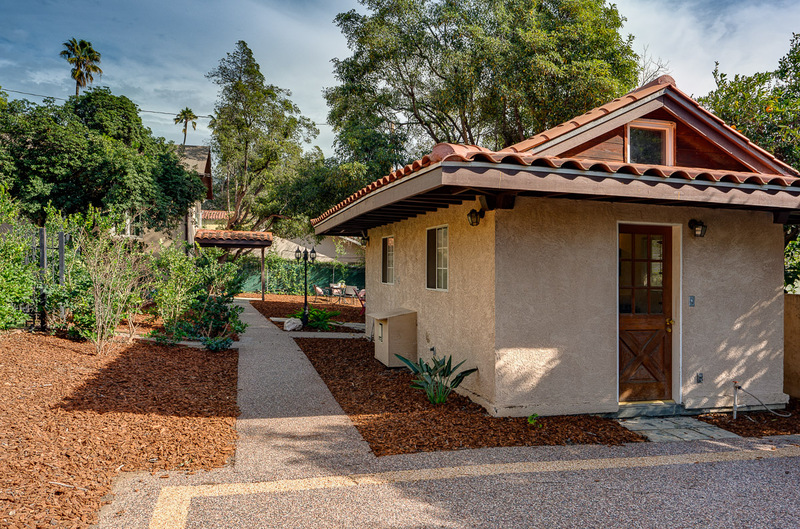 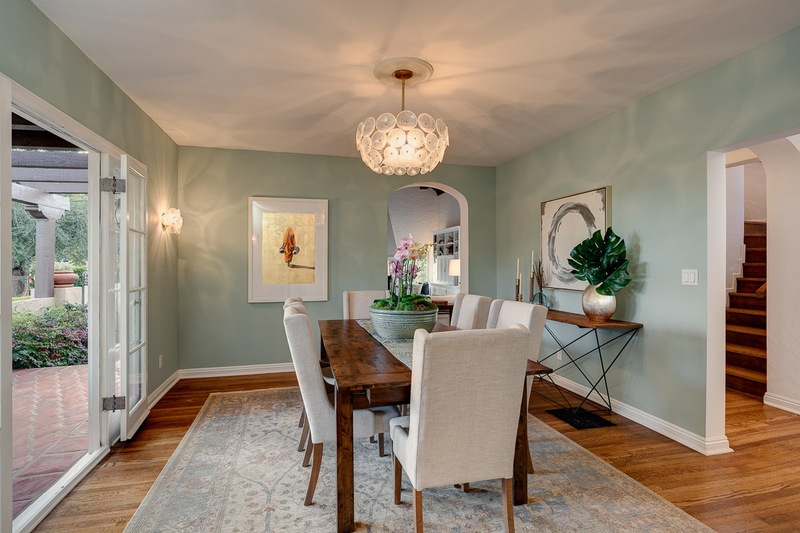 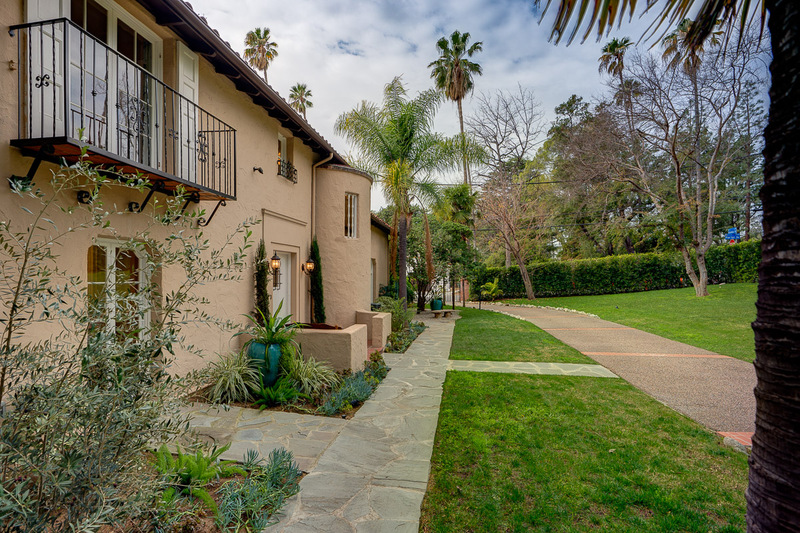 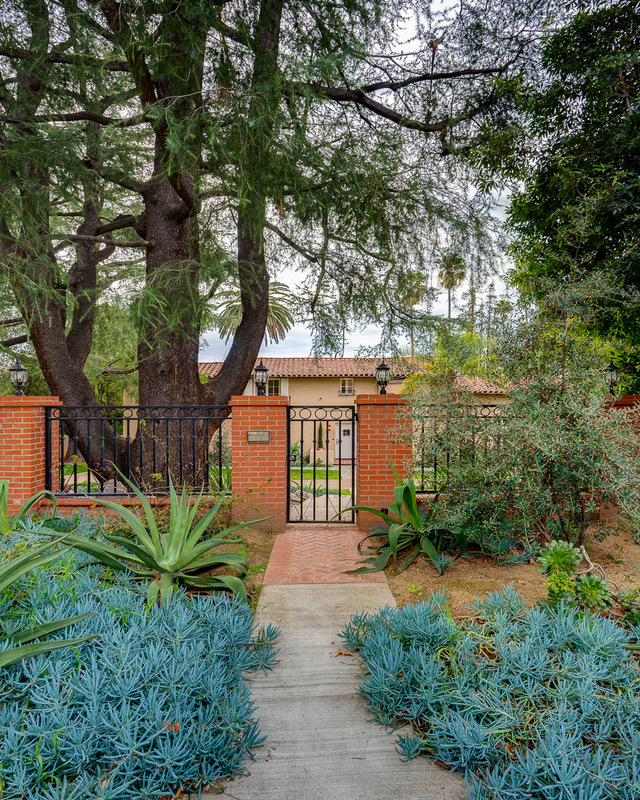 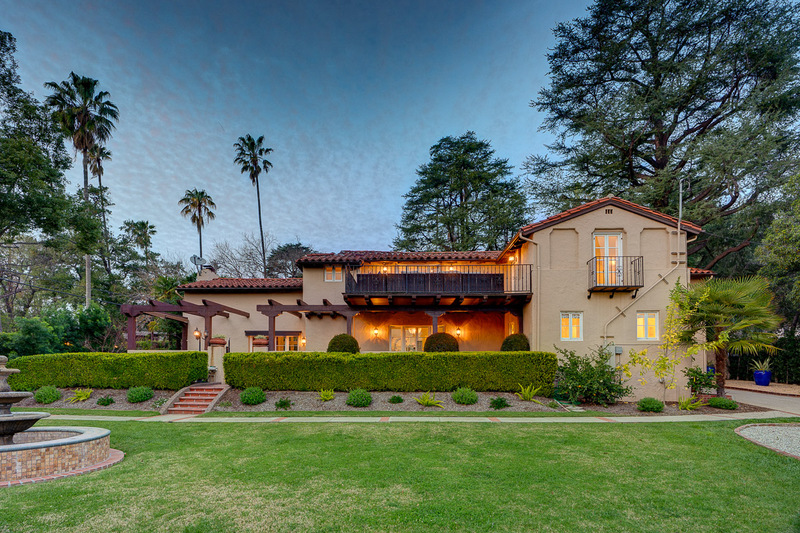 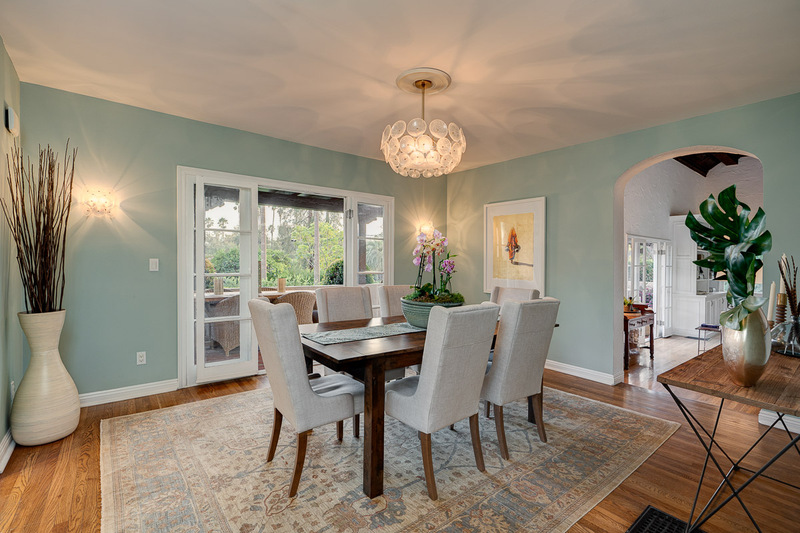 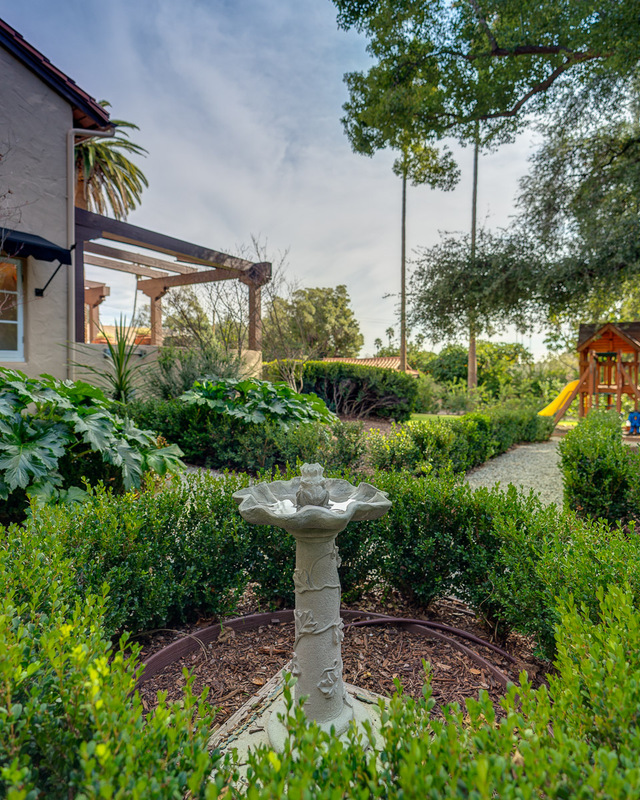 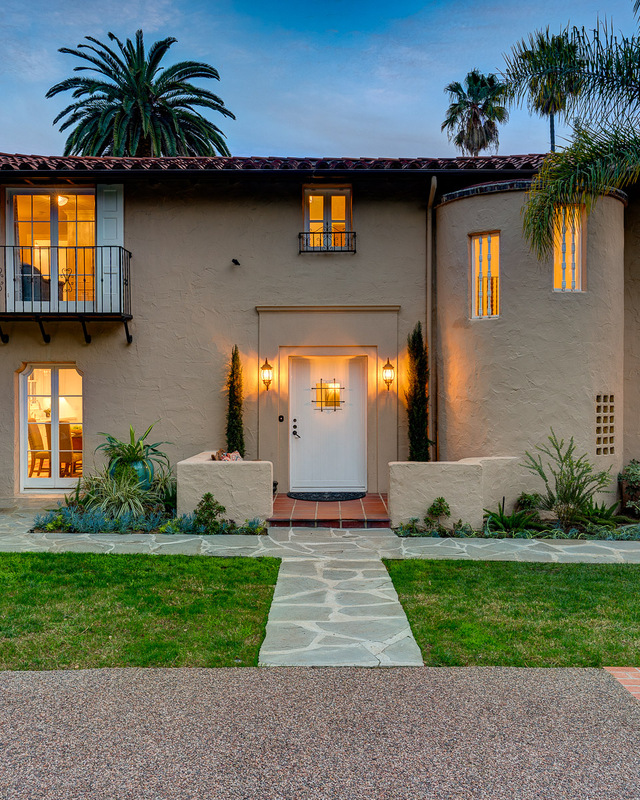 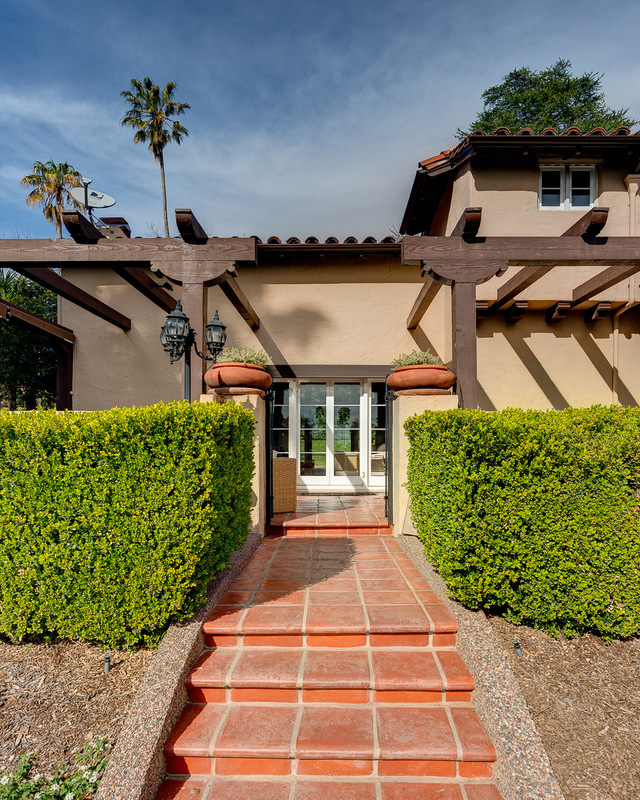 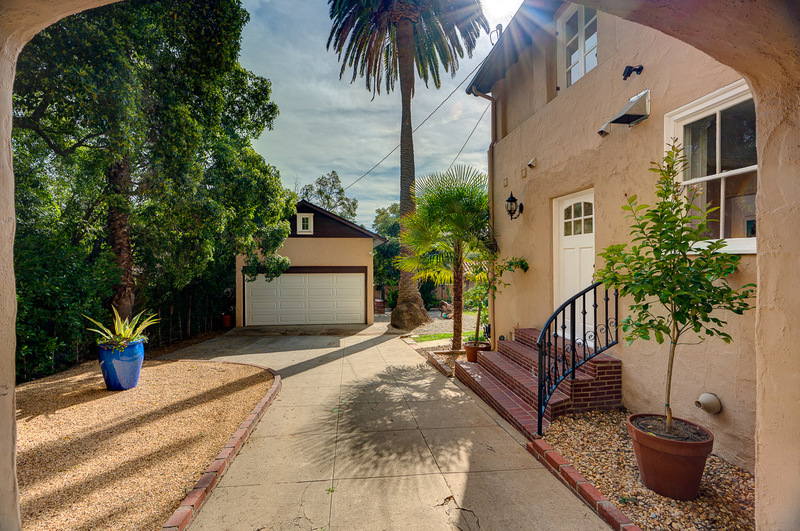 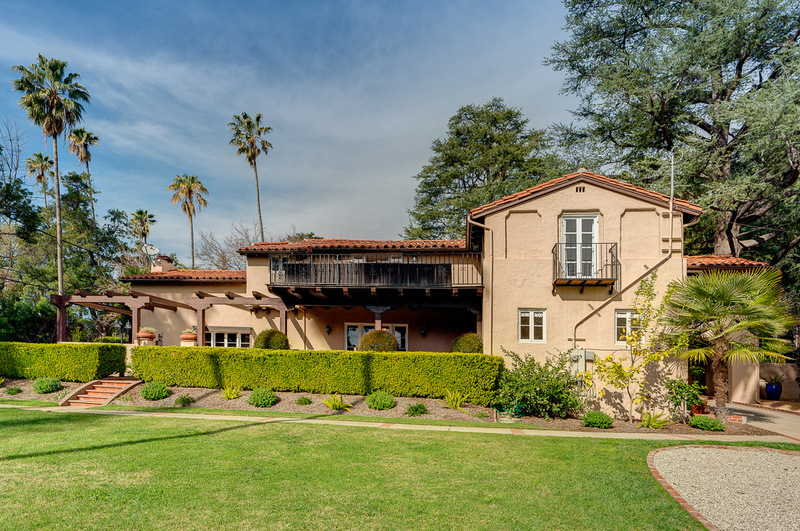 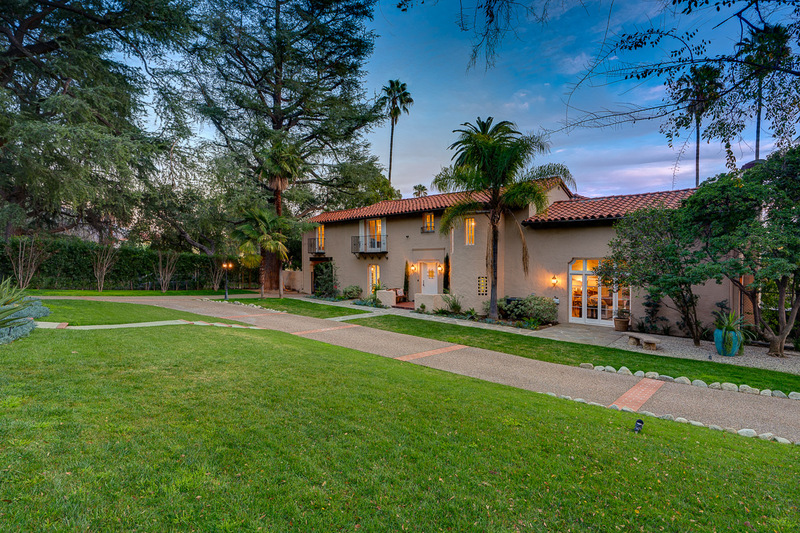 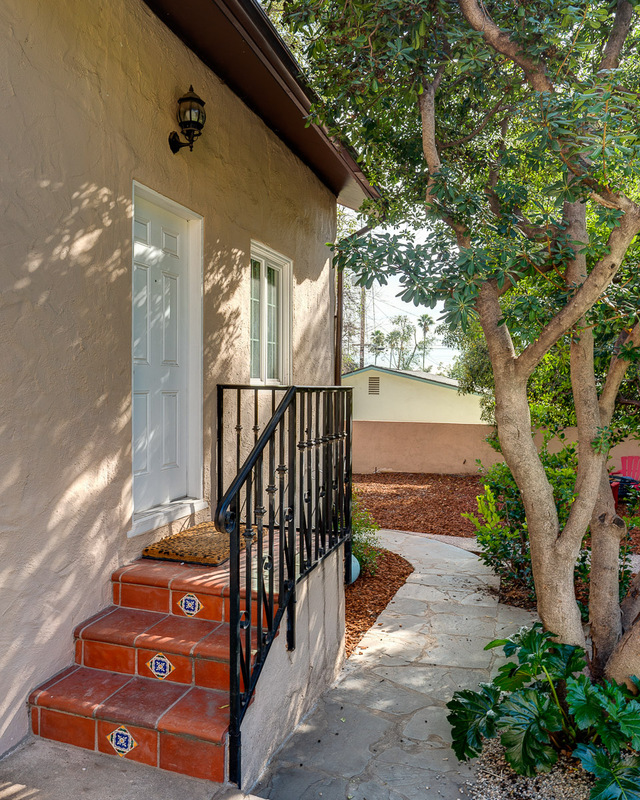 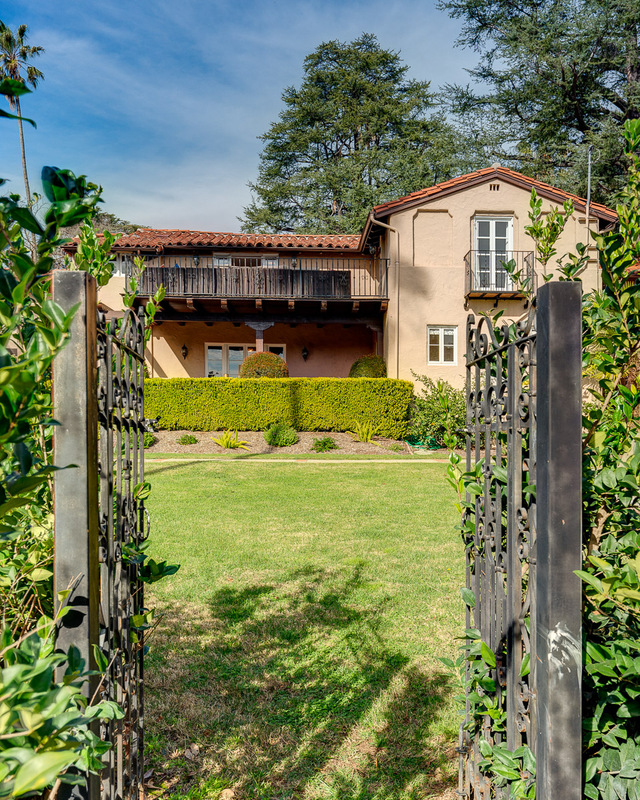 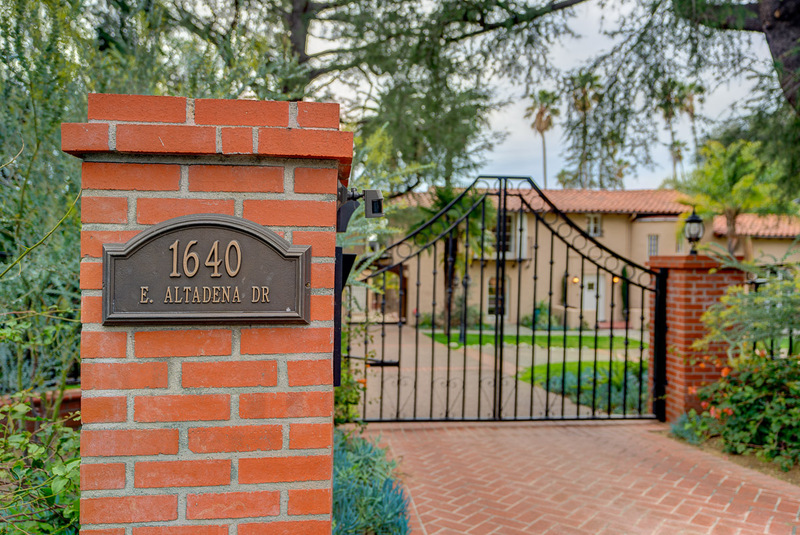 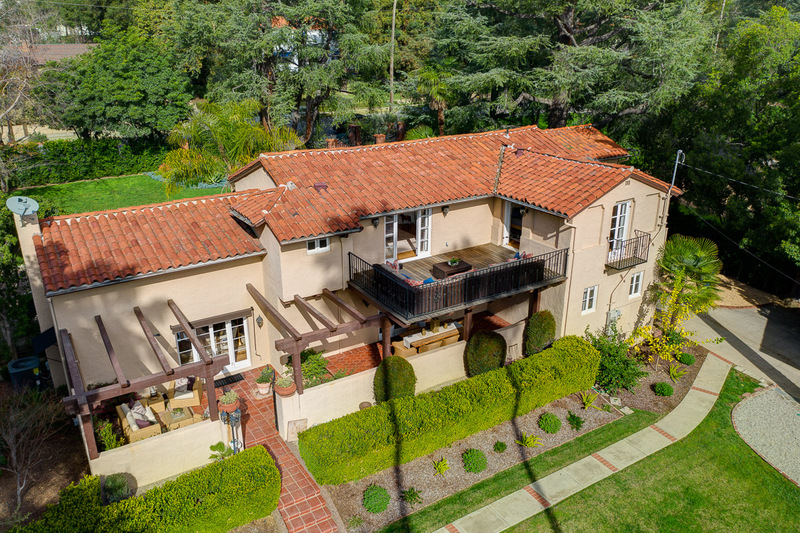 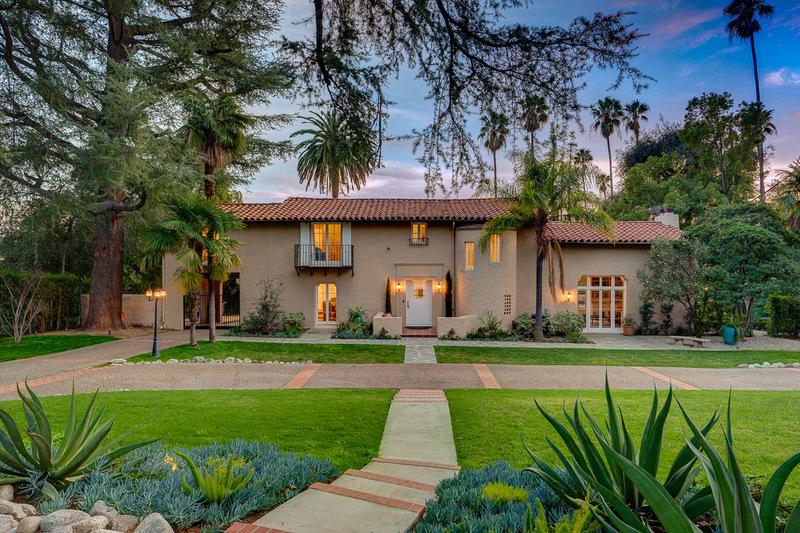 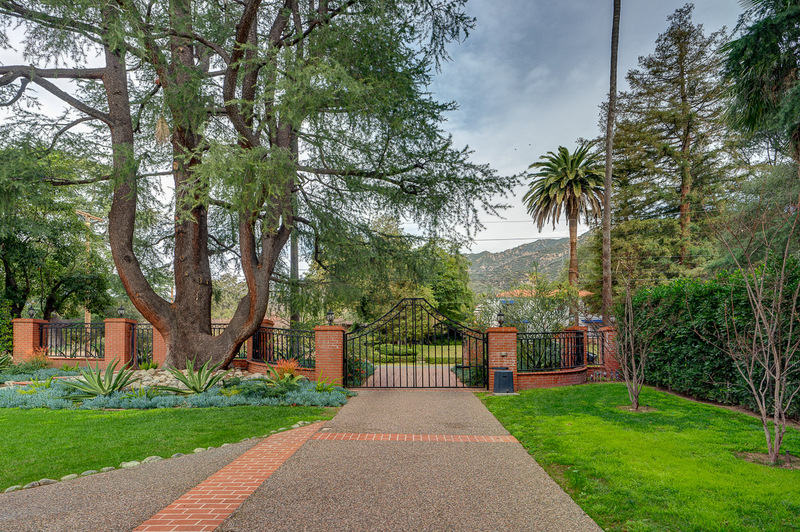 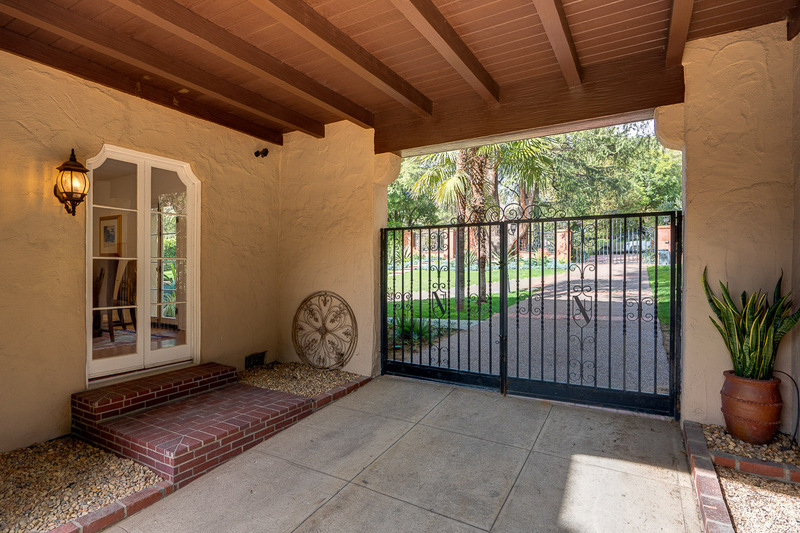 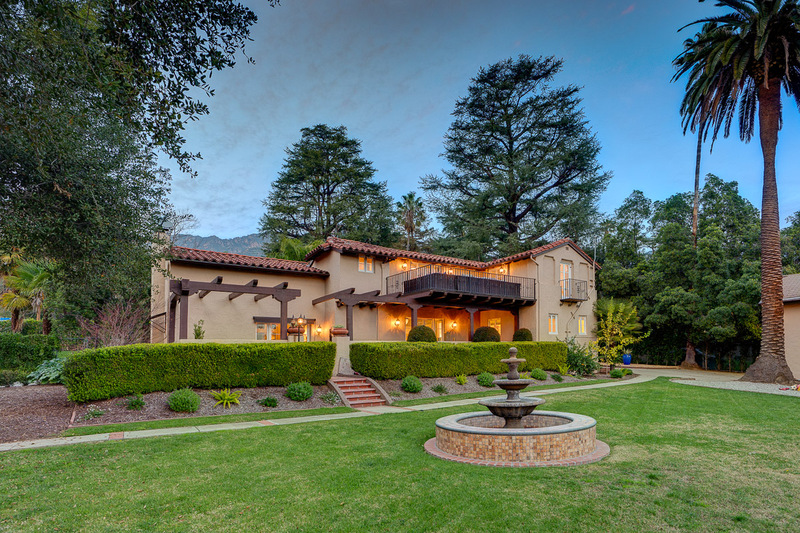 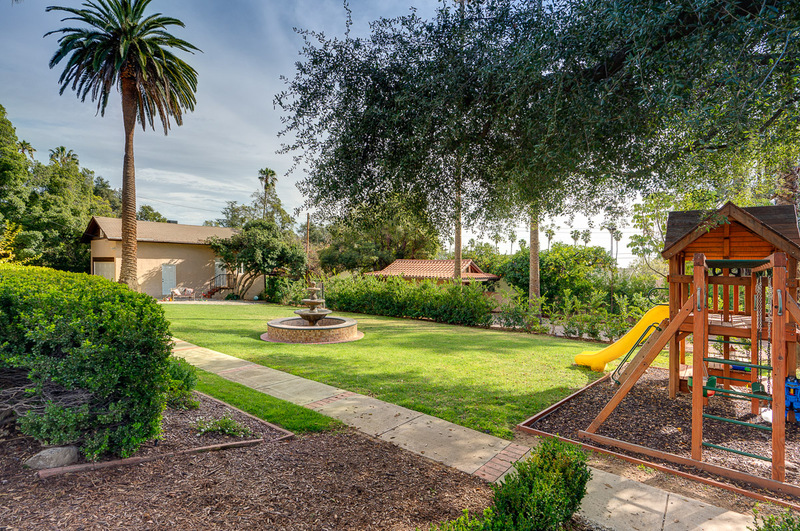 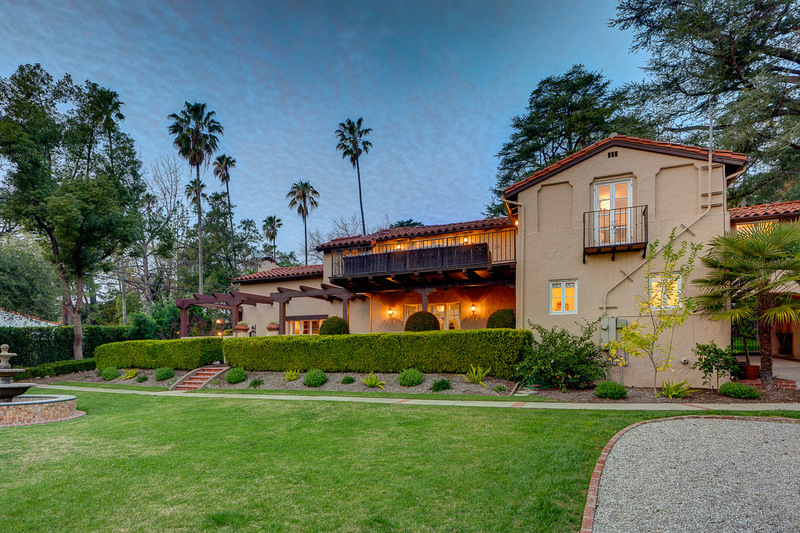 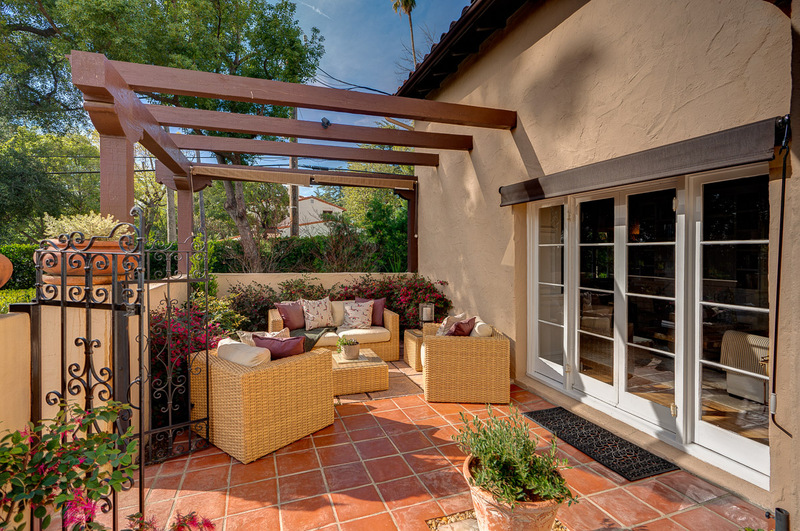 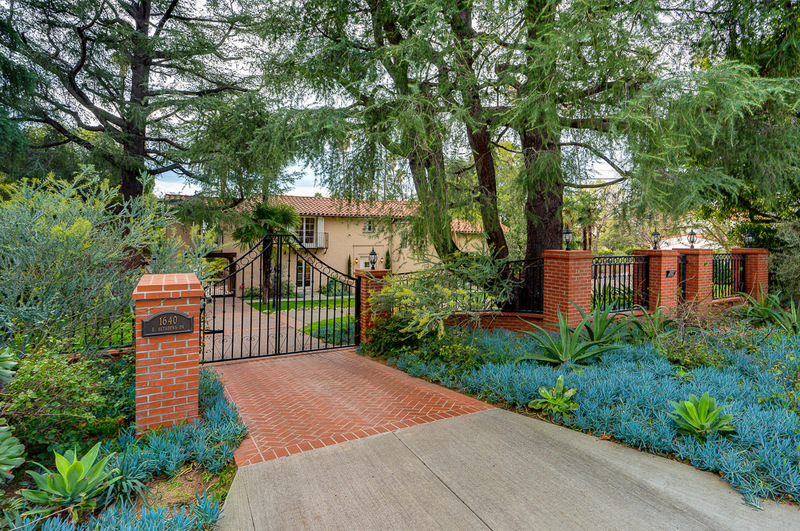 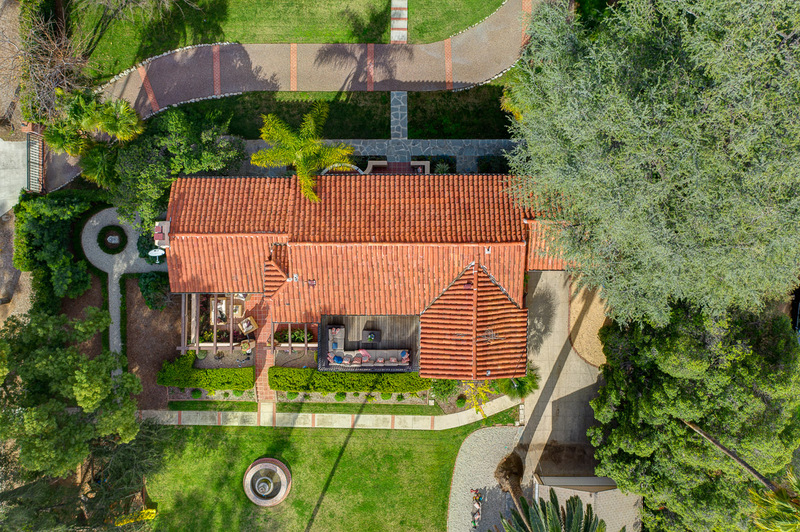 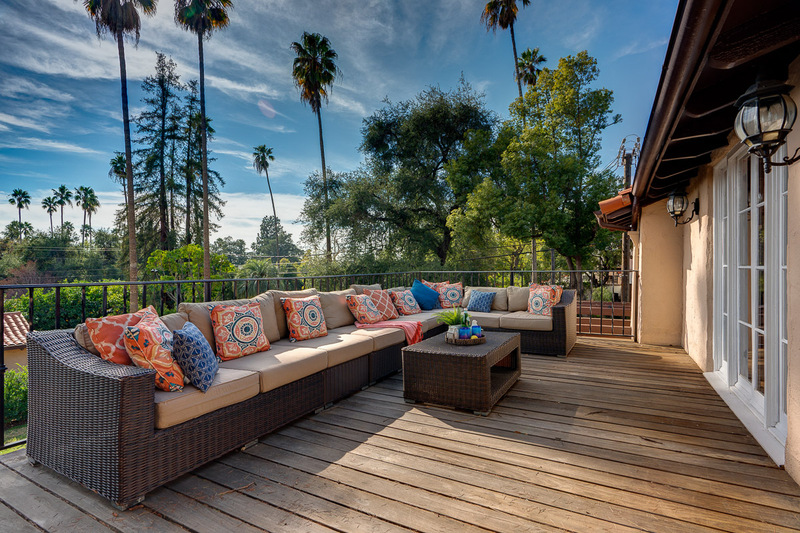 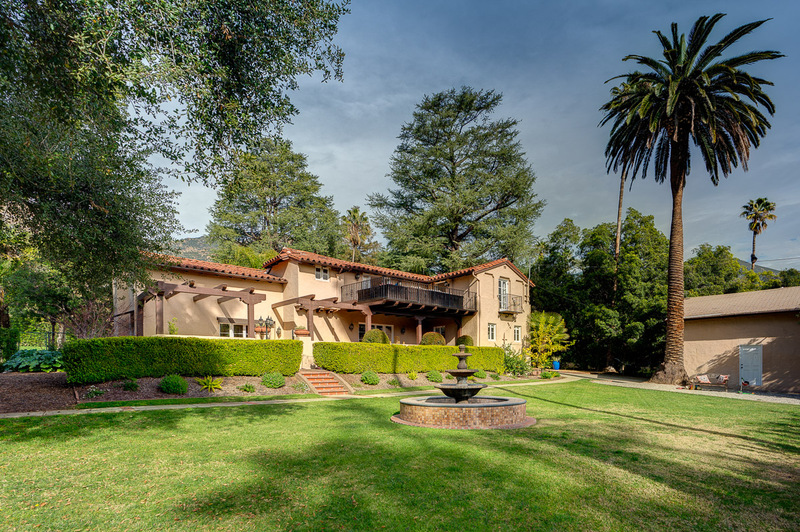 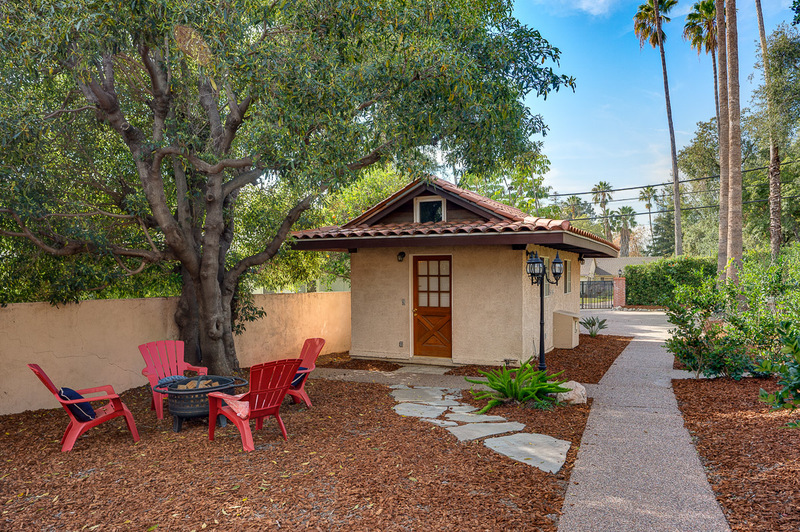 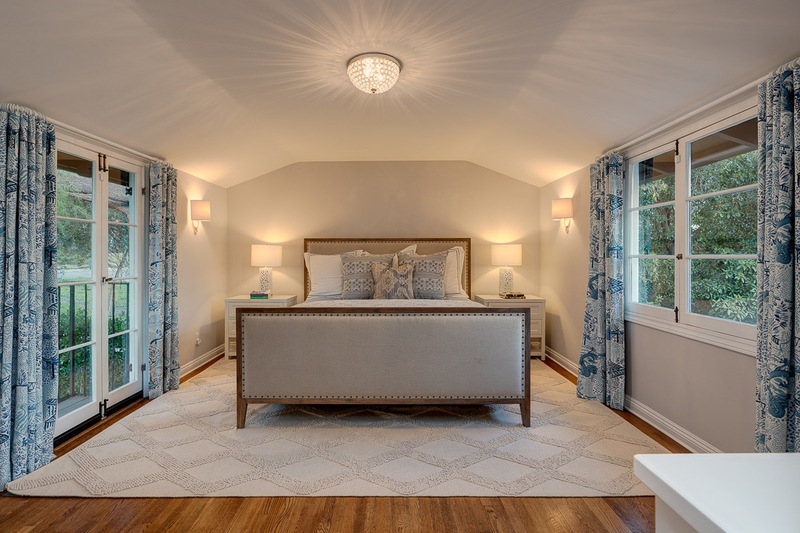 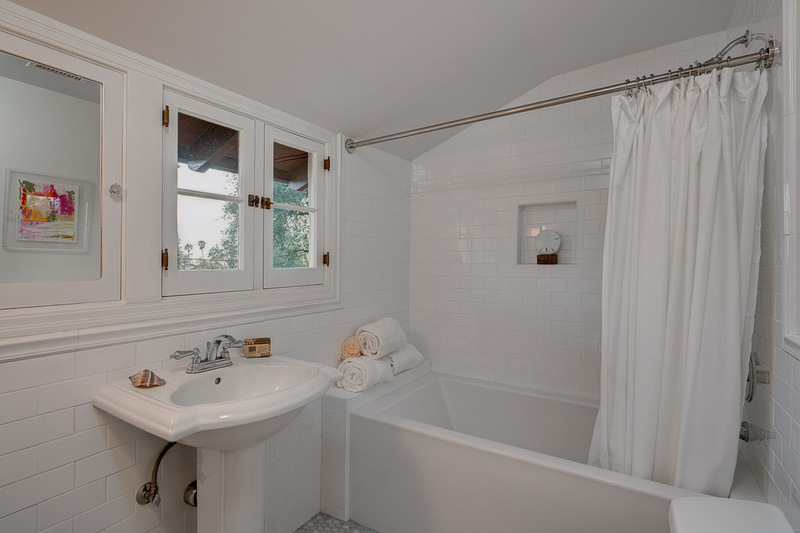 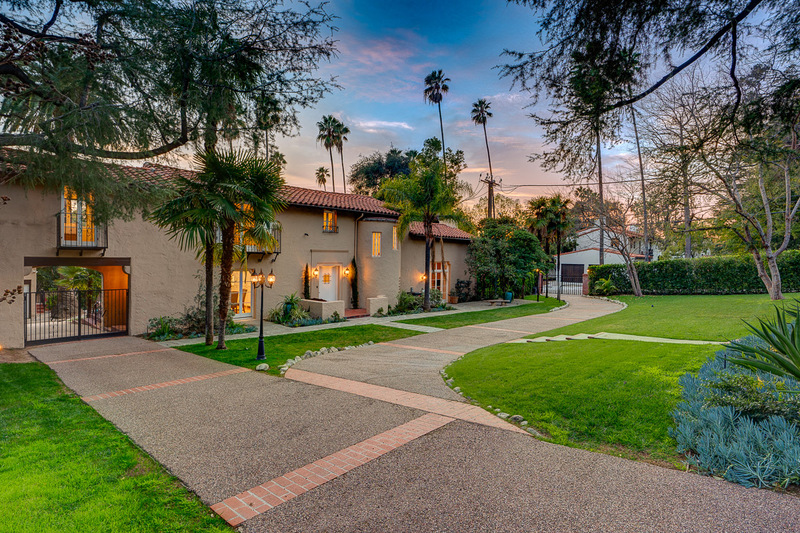 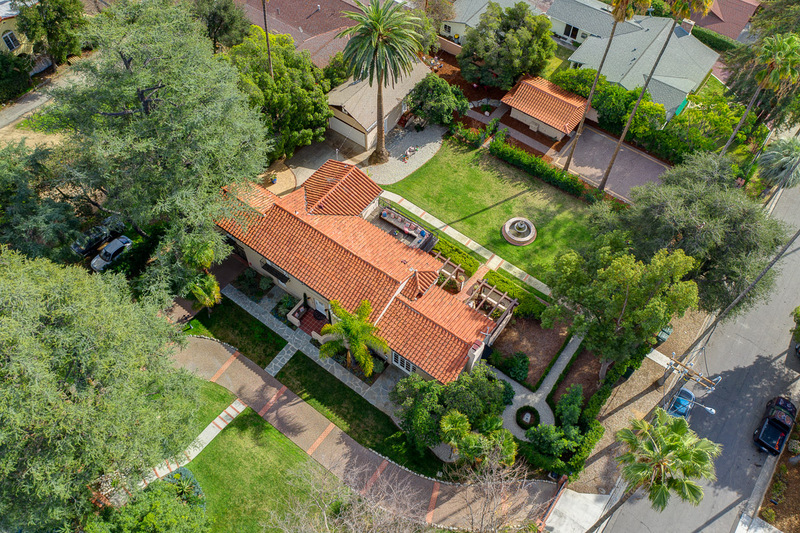 This is a true Altadena gem in the sought-after Country Club neighborhood!